Those who travel from the southernmost point of Italy to the third largest city in Italy, get on the trip of the most varied impressions. From architectural beauties and decay, natural wonders for the eye and exotic smells for the nose is all there you will find everything there. It was a fascinating journey that has allowed me to experience Italy from a completely different perspective. All the activities have pleased me, but unfortunately, there was not much to see on this side of Sicily except tourists, chaotic traffic and dirty, scary narrow streets, which would probably be all blocked in Germany by the public order office. 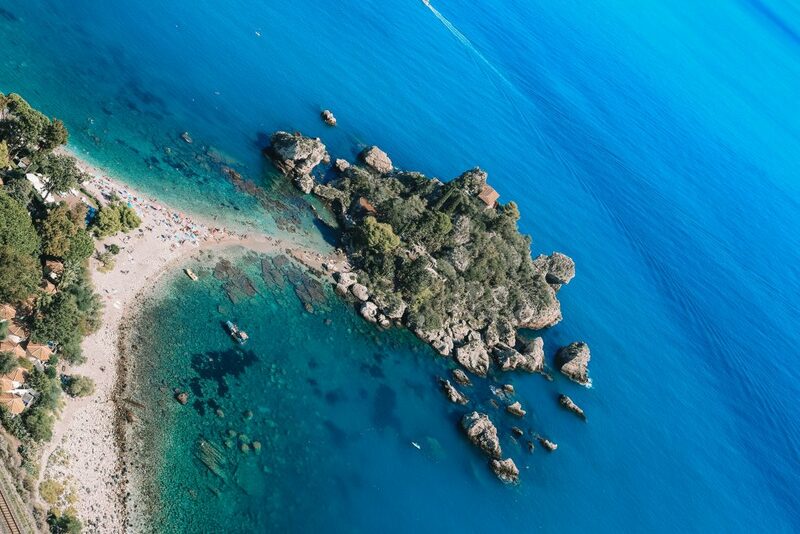 I flew to Sicily with such high expectations, as I was always told of a “European Caribbean”, but when we took the ferry from Messina to the mainland, I was rather relieved. 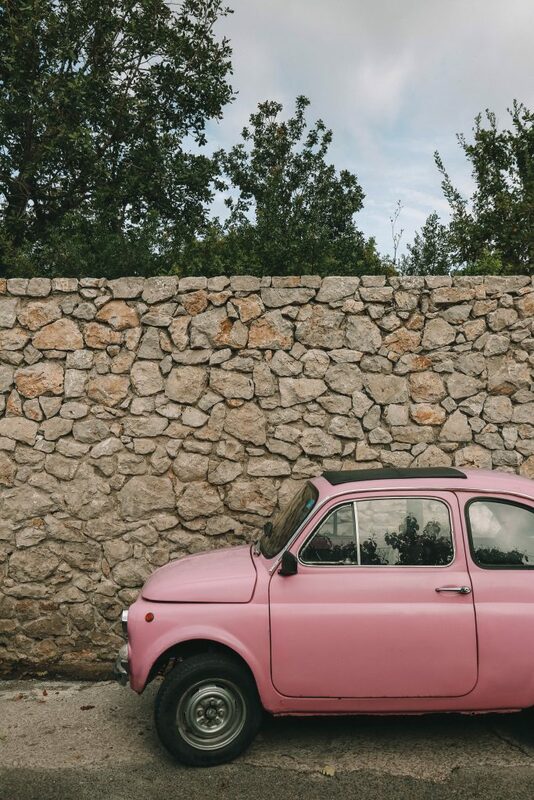 Amalfi Coast – The five-hour drive to the Amalfi Coast is an experience in itself. You drive through several national parks, which are sprinkled with natural beauty and then sometimes you cross a city that looks like it could urgently need a refurbishment. In my opinion, it is an experience that should not be missed. 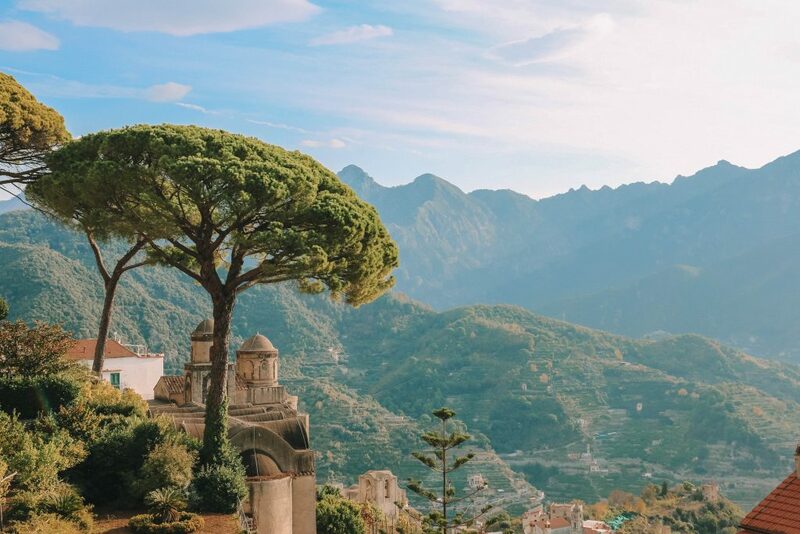 Half an hour before you reach the Amalfi coast and the small hill town of Ravello, you will once again experience a breathtaking mountain scenery. I was completely amazed by them. Although, those who cannot ride well curvy and narrow routes, should first take a tranquilizer. 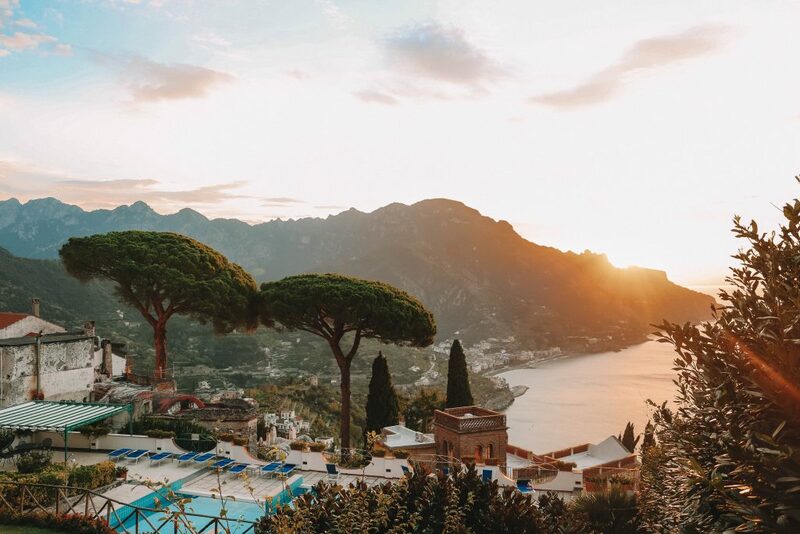 Later we arrived in Ravello, and thanks to Sunland, we could experience an accommodation with a view that is simply made for advertising. A dream! In Minori, you can park cheaply and conveniently enjoy a beachfront with Martini Bianco. 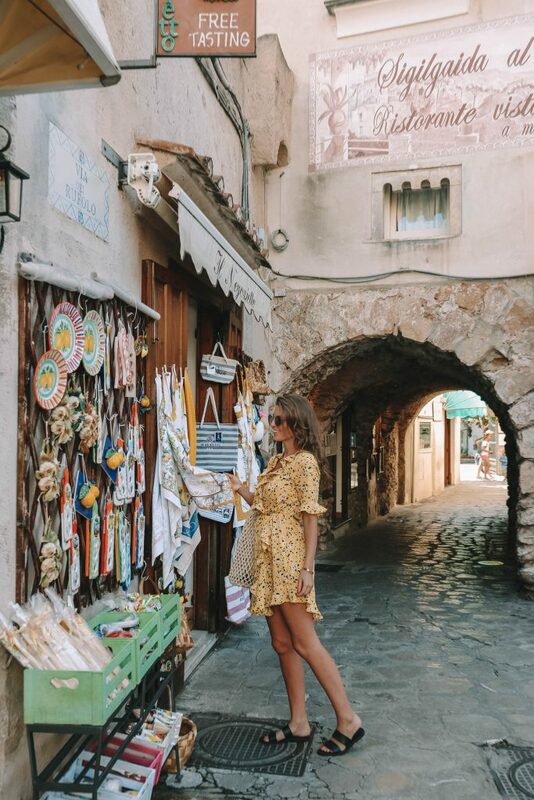 Ravello, a must place to be visited on the Amalfi Coast, offers not only a gigantic view but also many shops for small accessory shopping tour and cafes with Italian delicacies. 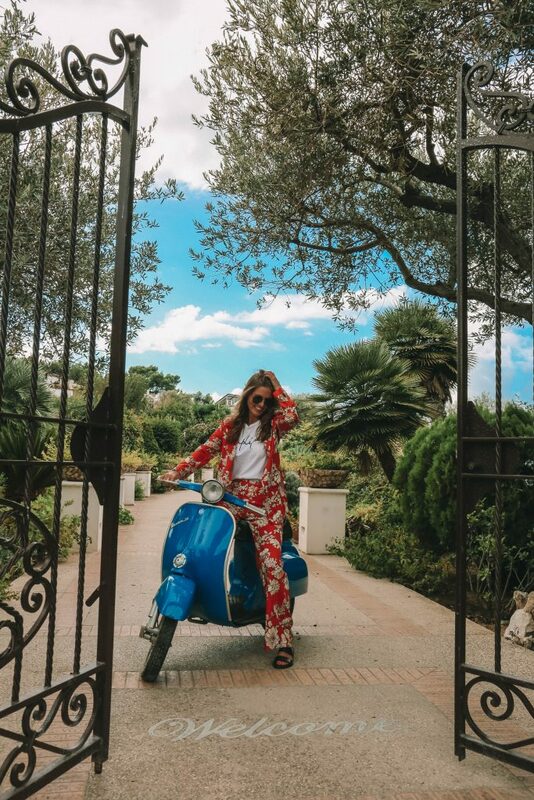 You should do the coastal drive with a scooter or a bus. For insecure drivers, the narrow streets can be exhausting. 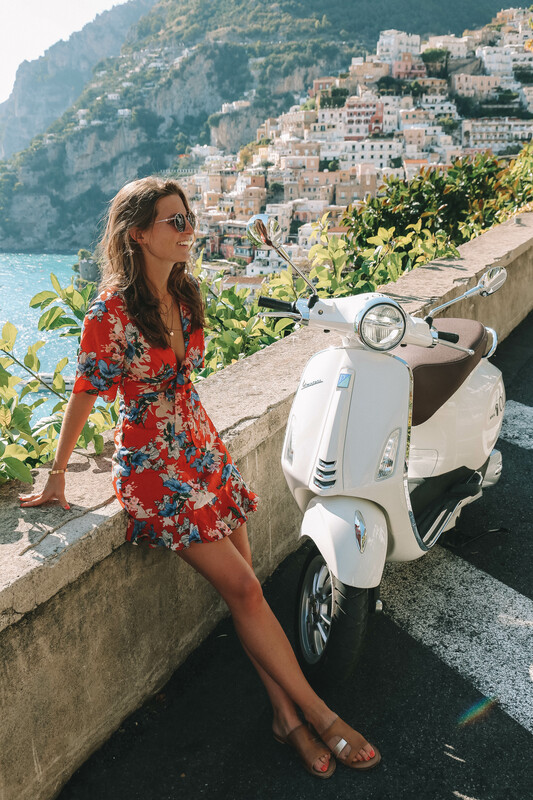 We drove with a Vespa rented from Jollyrent, from Ravello to Positano. Try to drive against the current if possible. Also, try to go back early and sooner than the others. The small tourist crowded downtown in Positano should be avoided. Remember the unique view of Positano. 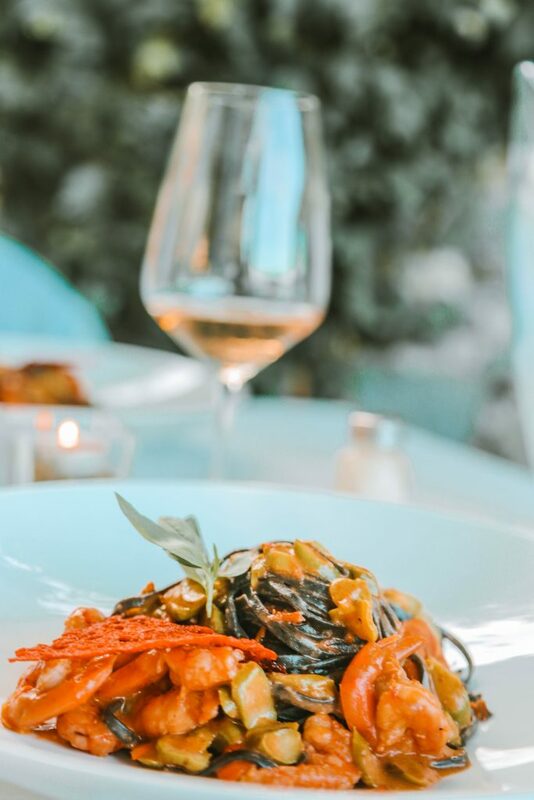 Ravello and the Amalfi Coast were the highlights of our journey because we had no idea what we would come across next – Naples. Since the ferries in Salerno, Sorrento, etc. only go to Capri on a calm sea, we opted for a safe crossing with SNAV from Naples. The streets in Naples are filled with garbage, dark shapes, and dirt. Sure, I first felt at the harbor again. After arriving in Capri it seemed to me again like I was on another planet. There was no sign of crime here. It’s a wonderful island in the daytime for many tourists in Capri. 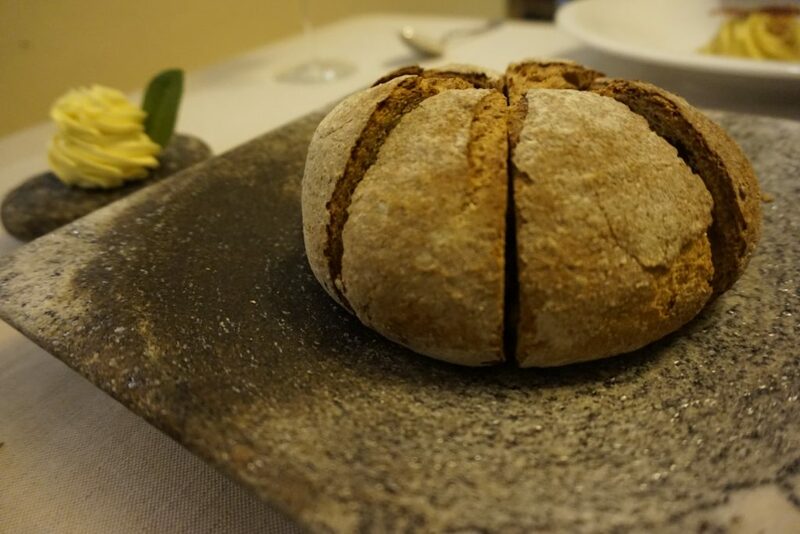 That’s why we fled to Anacapri and were warmly welcomed at the Hotel Al Mulino. The peaceful atmosphere in the whole hotel let me first process all my travel experiences. Try to visit Anacapri in the morning and Capri in the afternoon, otherwise, you will find many “day tourists”. You can relax here especially well on the trails with a view of the sea. After two days in Capri, our eventful week was unfortunately over. Wer vom südlichsten Punkt Italiens bis zur drittgrößten Stadt Italiens reist, bekommt auf der Reise die unterschiedlichsten Eindrücke geboten! Von baulichen Schönheiten und Verfall, Naturwunder fürs Auge und exotische Gerüche für die Nase ist alles dabei! Eine faszinierende Reise, die mich Italien aus einem ganz anderen Blickwinkel erleben lassen hat! Alle Aktivitäten haben mir schon zugesagt, aber leider war ansonsten auf der Seite von Sizilien nicht viel zu sehen außer Touristen, chaotischer Verkehr und schmutzige, beängstigend enge Straßen, die in Deutschland wahrscheinlich alle vom Straßenverkehrs- oder Ordnungsamt gesperrt wären. Ich bin mit so hohen Erwartungen nach Sizilien geflogen, da mir immer von einer „europäischen Karibik“ erzählt wurde, aber als wir die Fähre von Messina aufs Festland genommen haben, war ich doch eher erleichtert! Amalfiküste – Die fünfstündige Fahrt zur Amalfiküste vergeht wie im Flug! Man fährt durch mehrer Nationalparks , wird von der Natur berieselt und durchquert ab und zu eine Stadt, die aussieht als könnte sie dringend eine Kernsanierung gebrauchen! Meiner Meinung nach eine Erfahrung, die man gemacht haben sollte! Eine halbe Stunde bevor man die Amalfiküste und die kleine Hügelstadt Ravello erreicht, erlebt man nochmal eine atemberaubende Bergkulisse! Ich kam aus dem Staunen gar nicht mehr heraus! Diejenigen, die nicht gut kurvige und enge Strecken fahren können, sollten vorher eine Beruhigungspille zu sich nehmen! 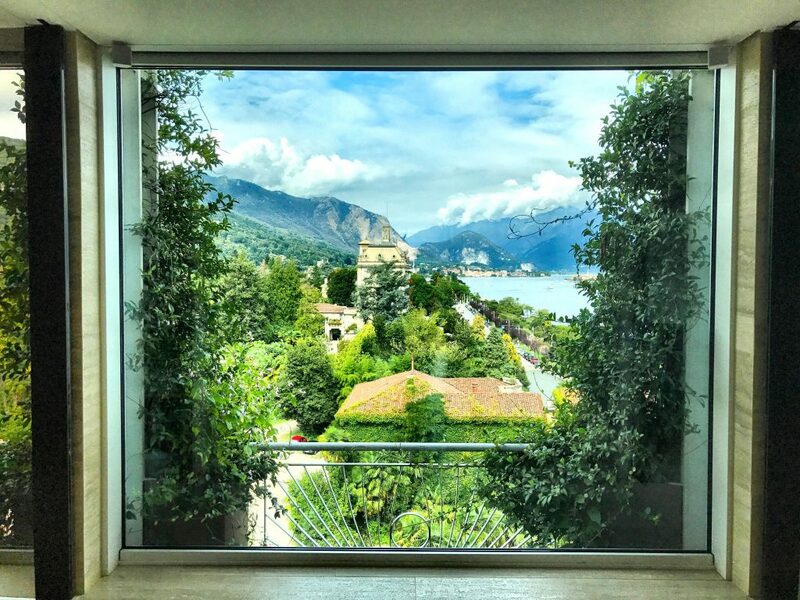 Angekommen in Ravello dürfen wir dank Sunland eine Unterkunft mit Ausblick erleben, die einfach nur gemacht ist für Werbebilder! Ein Traum! In Minori könnt ihr preiswert parken und günstig direkt am Strand einen Martini Biancho genießen! 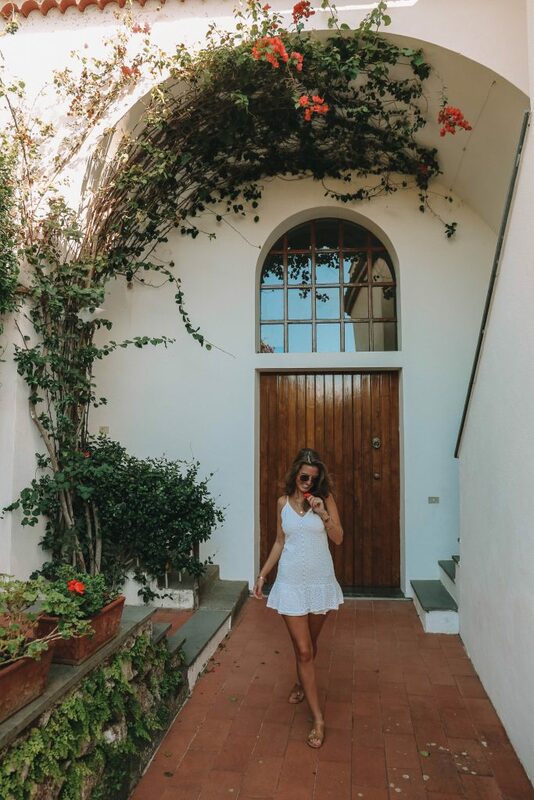 Ravello, ein Muss an der Amalfi Küste, bietet nicht nur einen gigantischen Blick, sondern auch viele Geschäfte für eine kleine Accessoire-Shoppingtour und Cafés mit italienischen Köstlichkeiten! Die Küstenfahrt solltet ihr mit einem Roller oder einem Bus machen. Für unsichere Fahrer können die engen Straßen anstrengend werden! 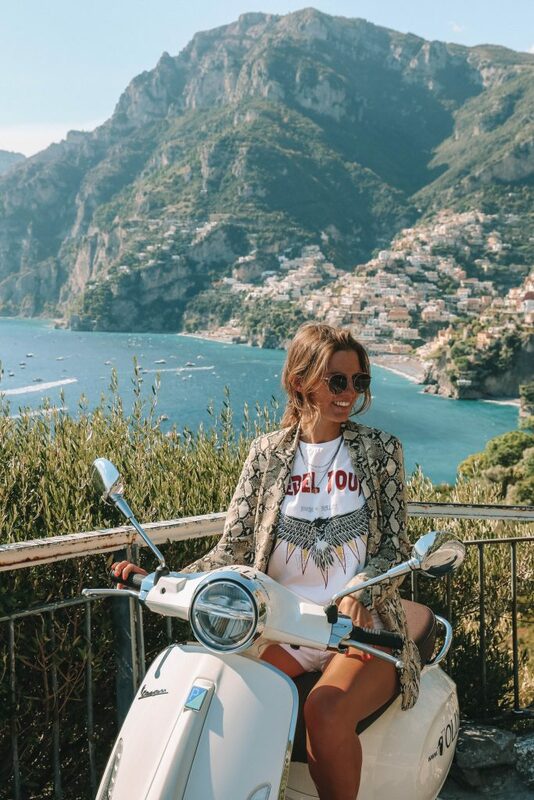 Wir sind mit einer Vespa von Jollyrent von Ravello bis nach Positano gefahren. Versucht möglichst gegen den Strom zu fahren! Früh los und früher als die anderen zurück! Die kleine von Touristen überfüllte Innenstadt in Positano sollte man eher meiden! Erinnert euch lieber an den einmaligen Blick auf Positano! Ravello und die Amalfiküsten waren das Licht auf unserer Reise, denn wir hatten nicht annähernd geahnt, was auf uns als nächstes zukommt – Neapel. Da die Fähren in Salerno, Sorrento etc. nur bei ruhiger See nach Capri fahren haben wir uns für eine sichere Überfahrt entschieden mit SNAV von Neapel aus. Die Straßen in Neapel sind von Müll, düsteren Gestalten und Dreck gefüllt. Sicher habe ich mich erst wieder am Hafen gefühlt! Angekommen auf Capri schien es mir schon wieder wie auf einem anderen Planeten! Keine Spur von Kriminalität! 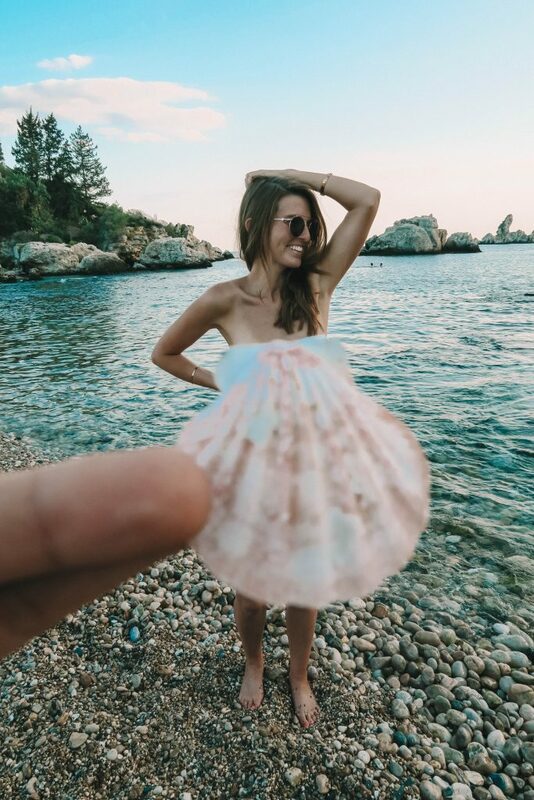 Eine wunderbare Insel mit tagsüber zu vielen Touristen in Capri. 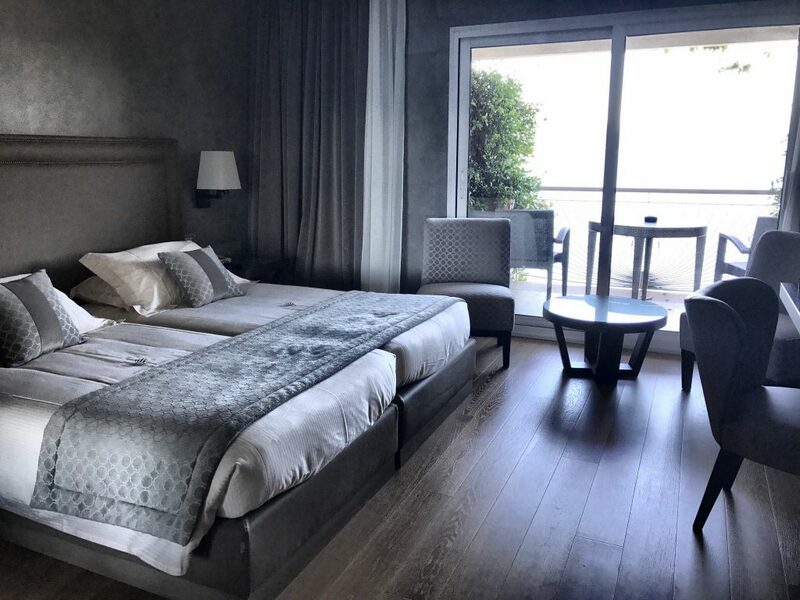 Deswegen sind wir auch nach Anacapri geflohen und wurden sehr herzlich im Hotel Al Mulino aufgenommen! Die friedliche Atmosphäre im ganzen Hotel hat mich erstmal all meine Reiseerlebnisse verarbeiten lassen. Versucht Anacapri vormittags zu besichtigen und Capri erst gegen Nachmittag, da ihr sonst auf viele „Tagestouristen“ antrefft. 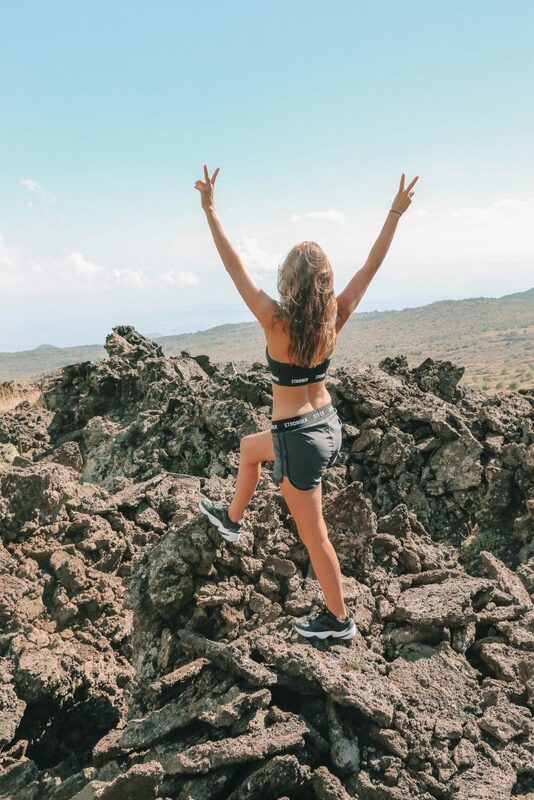 Entspannen kann man hier besonders gut auf den Wanderwegen mit Blick aufs Meer! Nach 2 Tagen Capri war unsere erlebnisreiche Woche auch schon leider wieder zu Ende. The perfect place to get married! Isola dei Pescatori? No? Never heard of it? 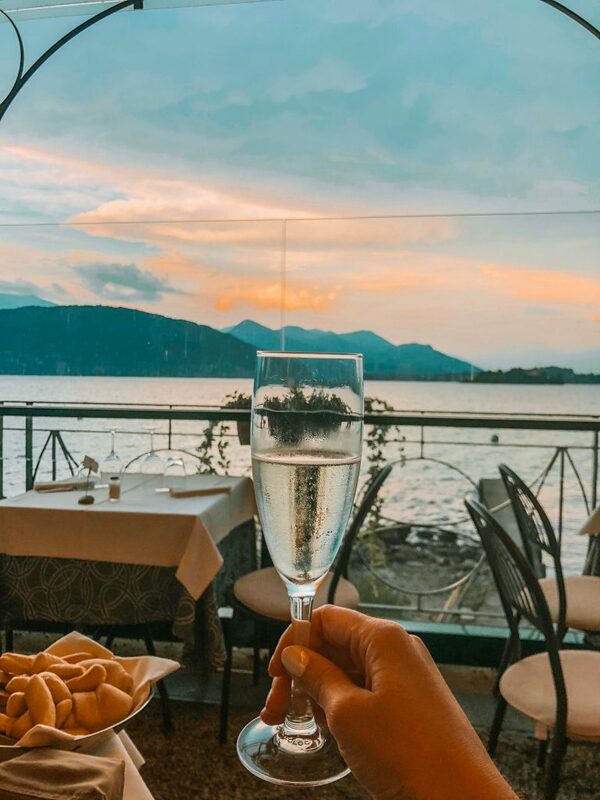 But Lago Maggiore will probably be known by many of you, and on Lago Maggiore is the small island of “Isola das Pescatori”. 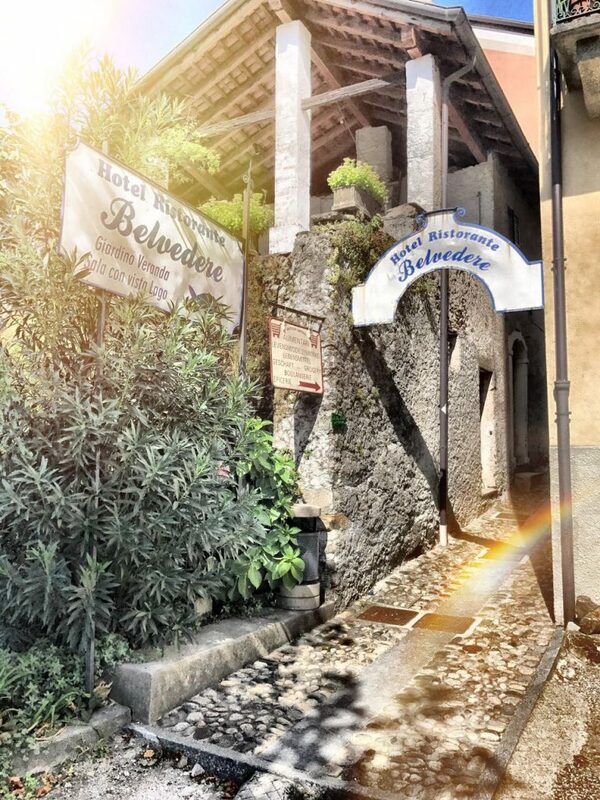 Maybe you can still remember that I was here about a year ago and visited the restaurant “Albergo Belvedere”. Last year its hotel underwent renovations, and as a result, it now has an impressive suite built, where we stayed this year. Isola dei Pescatori? Sagt vielen vielleicht nicht viel. Aber der Lago Maggiore wird wahrscheinlich vielen bekannt sein und auf dem Lago Maggiore befindet sich die kleine Insel „Isola die Pescatori“. Vielleicht könnt ihr euch noch daran erinnern, dass ich schon vor ca. 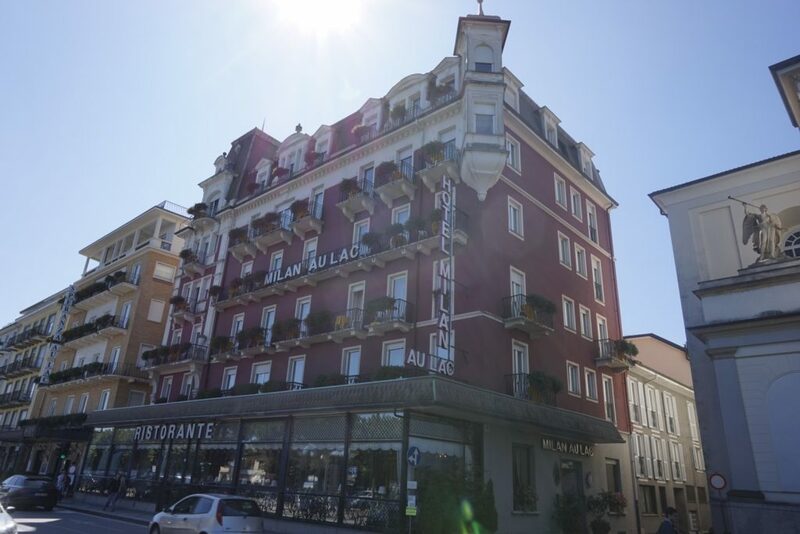 einem Jahr hier war und das Restaurant „Albergo Belvedere“ besucht habe. Letztes Jahr wurde das Hotel gerade renoviert und eine beeindruckende Suite wurde gebaut, in der wir dieses Jahr wohnen durften. I can really tell you so much about this hotel! It is truly one of the most romantic hotels I have ever stayed in. Before I start, you should know that this hotel is not a typical one with a large number of rooms. As far as I can remember, there were only about 6 rooms before the renovation, and now there are even less than that. The family atmosphere makes the stay so special while you can relax and won’t feel disturbed or find anyone invading your privacy here. So, totally exclusive and relaxing! The staff here is very friendly and is always there for your assistance. Zum Hotel kann ich wirklich so, so viel erzählen. Es ist wirklich eins der romantischsten Hotels, in dem ich jemals übernachtet habe. Bevor ich anfange, solltet ihr wissen, dass das Hotel kein typisches Hotel mit einer riesigen Anzahl von Zimmern ist! Soweit ich mich erinnern kann, gab es vor dem Umbau ca. 6 Zimmer und es werden jetzt nicht so viele mehr geworden sein. Die familiäre Atmosphäre macht den Aufenthalt so besonders, aber man fühlt sich auch absolut nicht in seiner Privatsphäre gestört! Also total exklusiv und entspannend! Das Personal ist sehr freundlich und immer für einen da! 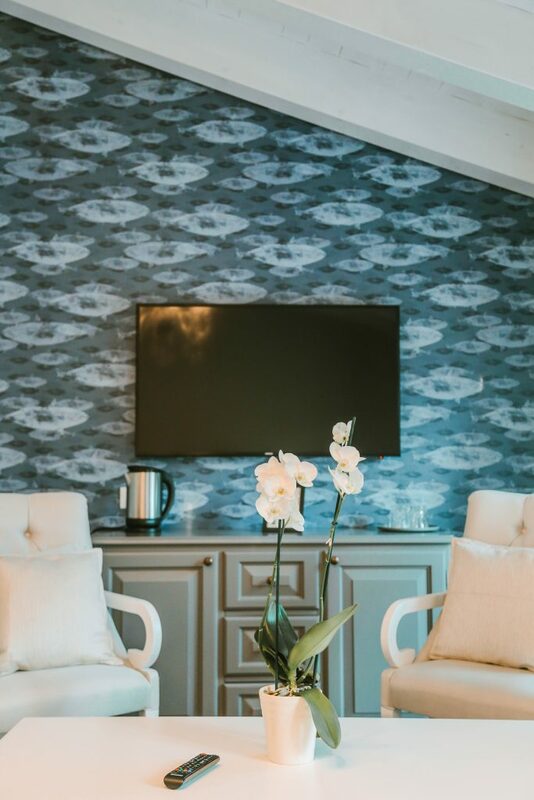 Our suite was just an absolute dream! On each side of the room, we had a huge balcony with a lake view or a view of the orange roofs of the island. Whether I was in bed or in the bath, I could always see the lake. My personal highlight was, of course, the breakfast on the terrace in the bright, warm sunshine. There was fresh fruit, different Italian pastries, homemade cakes, homemade bread and much more to eat. Unsere Suite war einfach ein absoluter Traum! Auf jeder Seite hatten wir einen riesen Balkon mit Seeblick oder einen Blick über die orangenen Dächer der Insel. Egal ob ich im Bett oder in der Badewanne gelegen habe, den See konnte ich immer sehen! 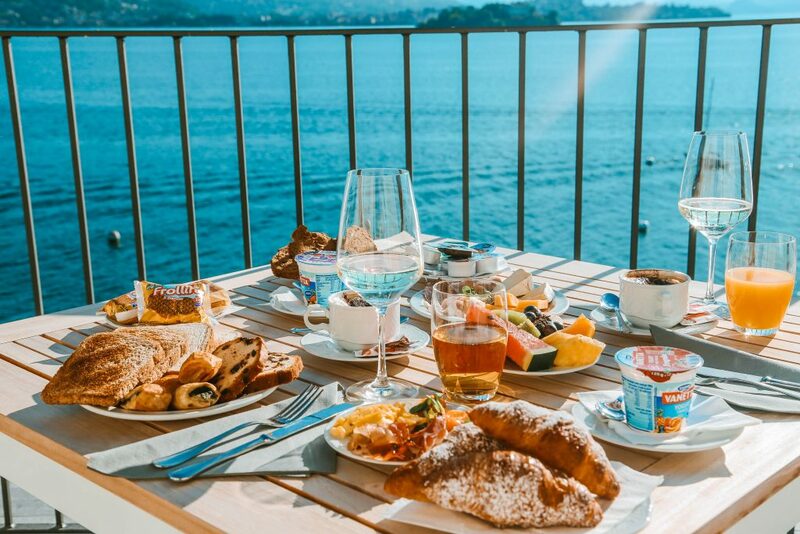 Mein persönliches Highlight war natürlich das Frühstück auf der Terrasse bei strahlendem Sonnenschein! Es gab frisches Obst, verschiedene italienische Gebäcke, hausgemachte Kuchen, selbstgebackenes Brot und viel, viel mehr! Even while in the restaurant you can watch the little waves on the lake from every angle. Incidentally, the restaurant is perfect for weddings too. So those who are still looking for the perfect wedding location should get in touch quickly because the hotel is in a great demand. Still, do not worry, in case someone doesn’t make it here. There are still 1 or 2 more places to stay on this island if you need more rooms. Auch im Restaurant kann man von jedem Winkel die kleinen Wellen auf dem See beobachten. 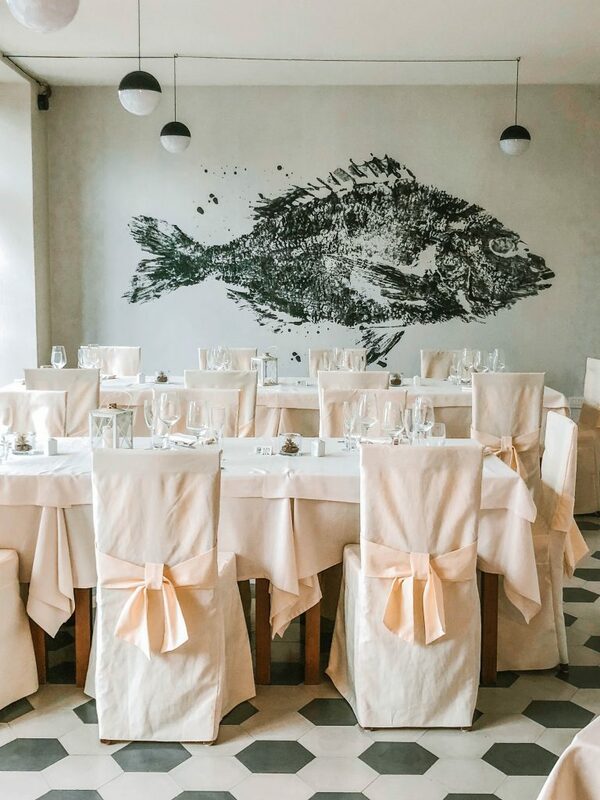 Das Restaurant eignet sich übrigens hervorragend zum Heiraten! Also wer noch die perfekte Wedding Location sucht, sollte sich schnell melden, denn das Hotel ist heiß begehrt! Keine Sorge! Es gibt auch 1 oder 2 weitere Übernachtungsmöglichkeiten auf der Insel, wenn man mehr Zimmer benötigt! Towards the evening you are almost alone on the island, as no boats for the tourists drive towards the island at this time. In those times we walked around the island every night and enjoyed the peace and the calming quietness. But it was also not crowded throughout the day even during the holiday season. Gegen Abend ist man auf der Insel fast alleine, da für die Touristen keine Boote mehr zur Insel fahren. Wir sind jeden Abend um die Insel gelaufen und haben die Ruhe genossen! Aber auch tagsüber war es während der Ferienzeit nicht überlaufen. So, do not hesitate! 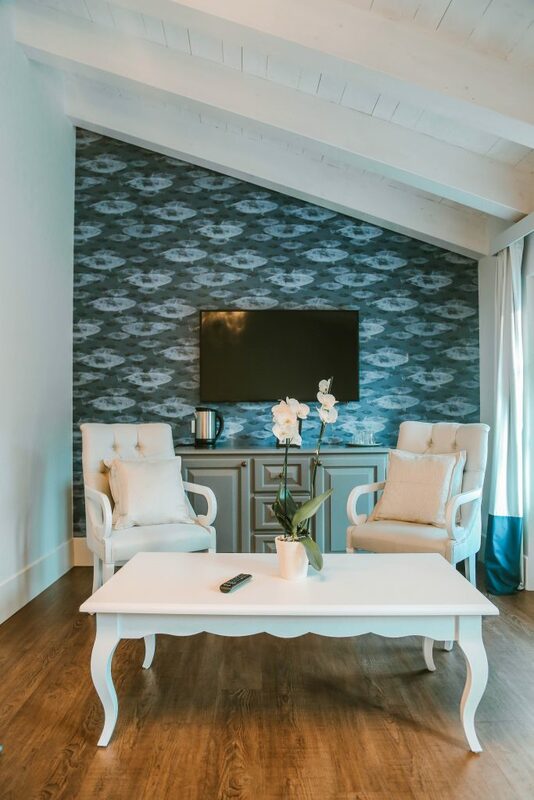 This hotel is perfect for a little break. If you still have any questions, you can easily communicate with me by commenting on the post. So, if you want to continue being informed of my travels, you can subscribe to my blog. Also zögert nicht lange! Das Hotel bietet sich perfekt für eine kleine Auszeit an! Falls ihr noch Fragen habt, könnt ihr den Beitrag ganz leicht hier drunter kommentieren. Wenn ihr weiterhin über meine Reisen informiert werden möchtet, könnt ihr meinen Blog einfach abonnieren. Wenn der Flug mit Ryanair mal wieder nur 9€ von Köln nach Bergamo übers Wochenende kostet und der Mietwagen von FireFly nur 45€ für 3 Tage, dann kann man ja wohl nichts anderes machen als nach Italien zu fliegen?! Aber auch mit dem Zug kann man innerhalb von einer Stunde herfahren. Diesmal hat es mich nach Stresa am Lago Maggiore gezogen. 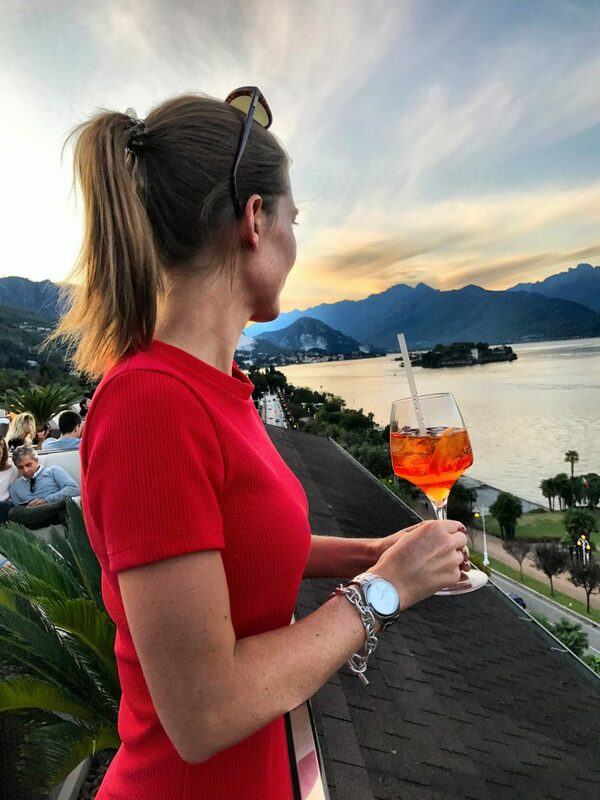 Stresa ist einer der wunderschönen Orte direkt am Lago Maggiore. Hier könnt ihr nicht nur entspannen und Gelati essen, sondern auch die kleinen Inseln mit einem Boot besuchen, durch die Berge wandern oder mit dem Fahrrad fahren und die Aussicht auf den See genießen. If the flight with Ryanair costs only 9 € from Cologne to Bergamo for a weekend and the car from FireFly only 45 € for 3 days, then you can probably do nothing else than to fly to Italy. But you can also go by train within an hour. 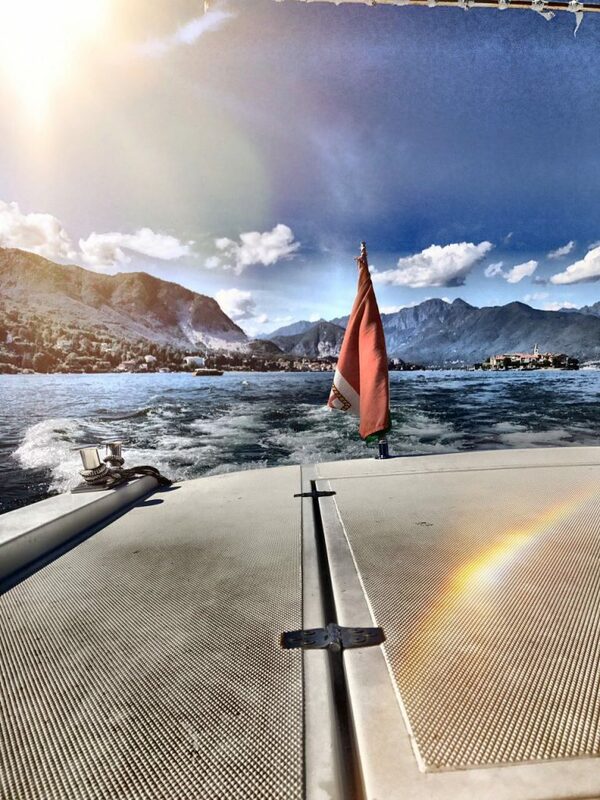 This time it pulled me to Stresa at Lake Maggiore. 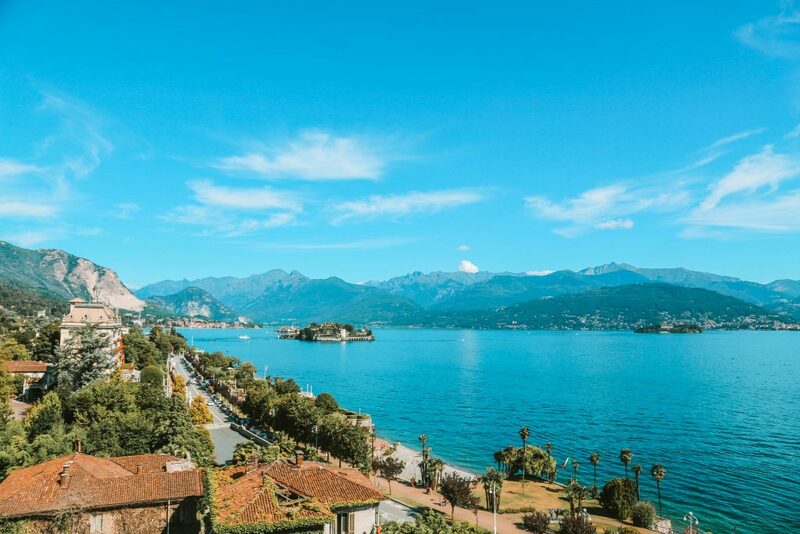 Stresa is one of the most beautiful places right at Lake Maggiore. 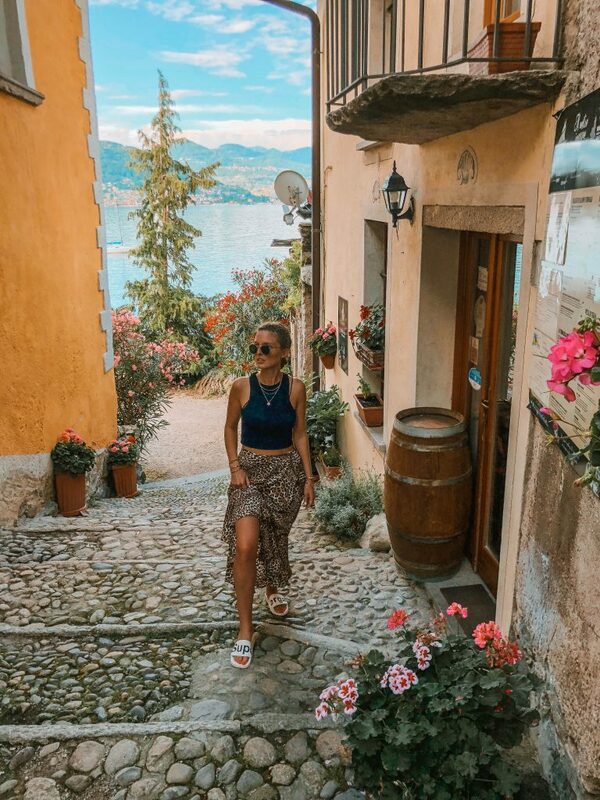 Here, you cannot only relax and enjoy Gelati, but you can also visit the small islands with a boat, hike through the mountains or go by bike, and enjoy the view of the lake. Mit der Sonne aufwachen. Im Hotel Milan Speranza au Lac könnt ihr morgens mit der Sonne aufwachen und von eurem Zimmer über den ganzen See schauen! Ein Traum! Wake up with the sun. 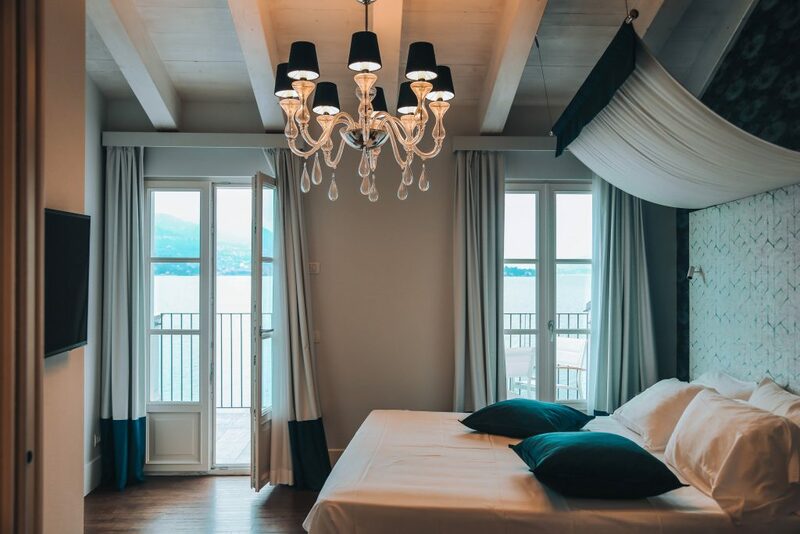 At the Hotel Milan Speranza au Lac, you can wake up with the sun in the morning and look out over the lake from your room! A dream! Die Zimmer sind etwas altmodisch, aber trotzdem hat es mich an ein Schloss erinnert. Auch der Speisesaal sieht aus wie aus einem Palast. The rooms are a bit dated, but it reminded me of a castle. The dining room also looks like a palace. Das Servicepersonal ist sehr zuvorkommend und freundlich. 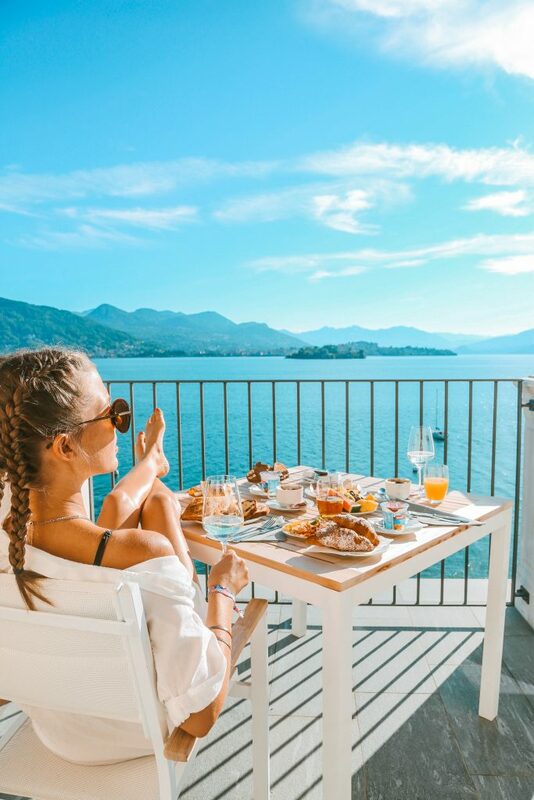 Da wir außerhalb der Saison da waren, konnten wir immer direkt am Fenster mit Blick auf den Lago Maggiore sitzen und das ausgiebige Frühstück genießen. 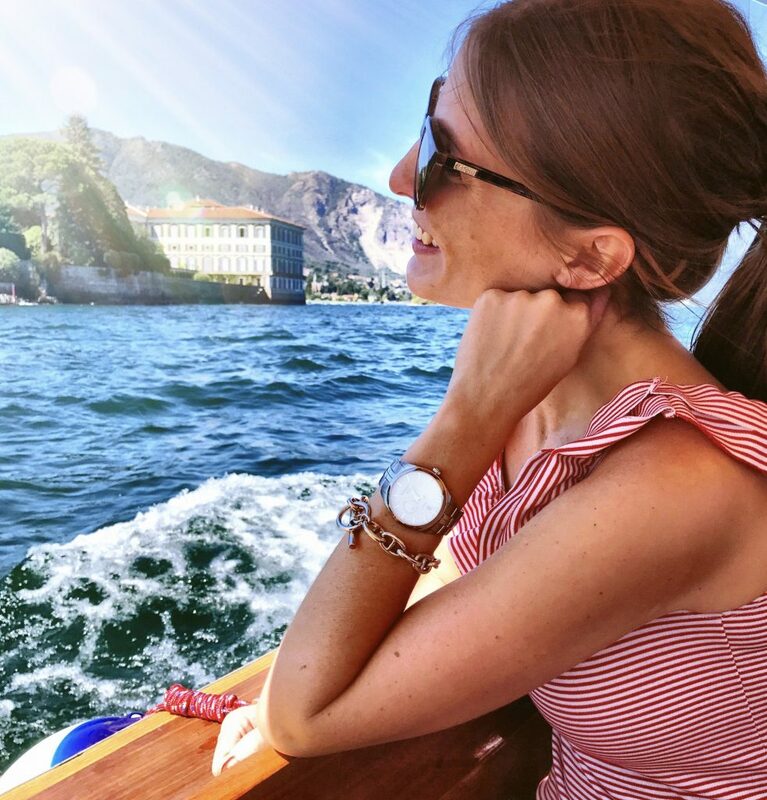 Fahrt auf jeden Fall auf die Insel Isola dei Pescatori! Natürlich fährt jeder zur Isola Bella, da sie auch wunderschön ist und ihr hier den einzigartigen Palazzo Borromeo bewundern könnt. ABER die Insel Isola dei Pescatori hat mit ihren engen Gassen, gemütlichen Geschäften und mehreren Restaurants auch viel zu bieten! Solltet ihr mehr Zeit haben, könnt ihr euch auch ein Bootsticket für alle Inseln kaufen. Drive to the Island of Isola dei Pescatori! Of course, everyone goes to the Isola Bella as it is also beautiful and you can admire the unique Palazzo Borromeo. BUT the island of Isola dei Pescatori has a lot to offer with its narrow streets, cozy shops, and several restaurants! If you have more time, you can also buy a boatsticket for all islands. Aber seid vorsichtig! 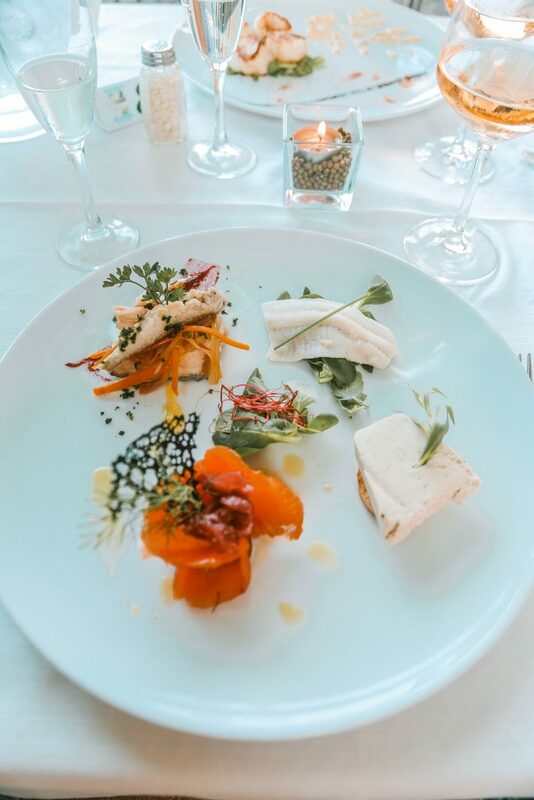 Jeder Anbieter hat seine eigenen Preise Wir waren auf der Insel Isola die Pescatori im Restaurant „Albergo Ristorante Belvedere“ essen! But be careful! Each provider has its own prices. 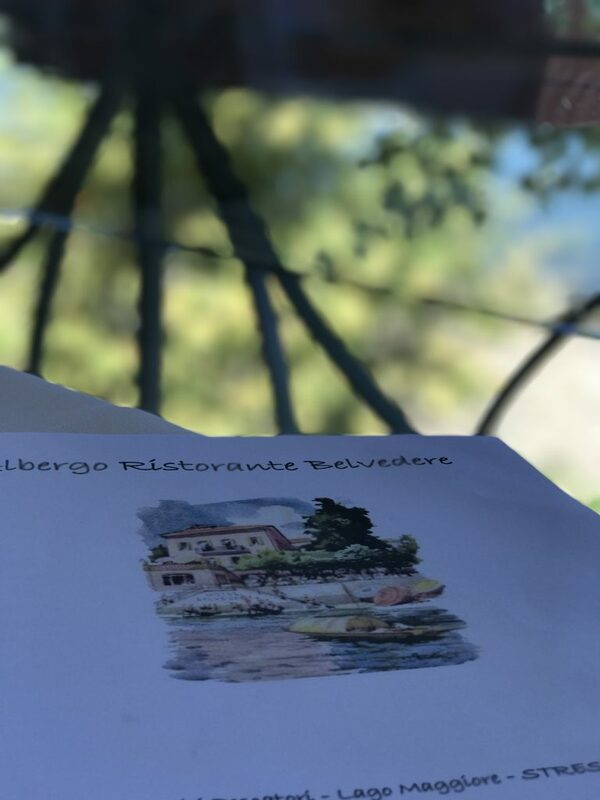 We were on the island Isola the Pescatori in the restaurant “Albergo Ristorante Belvedere” eat! Es war mehr als angenehm, denn wer möchte nicht direkt am Wasser seinen Wein genießen und auch noch ein köstliches Menü essen, das absolut nicht überteuert ist? 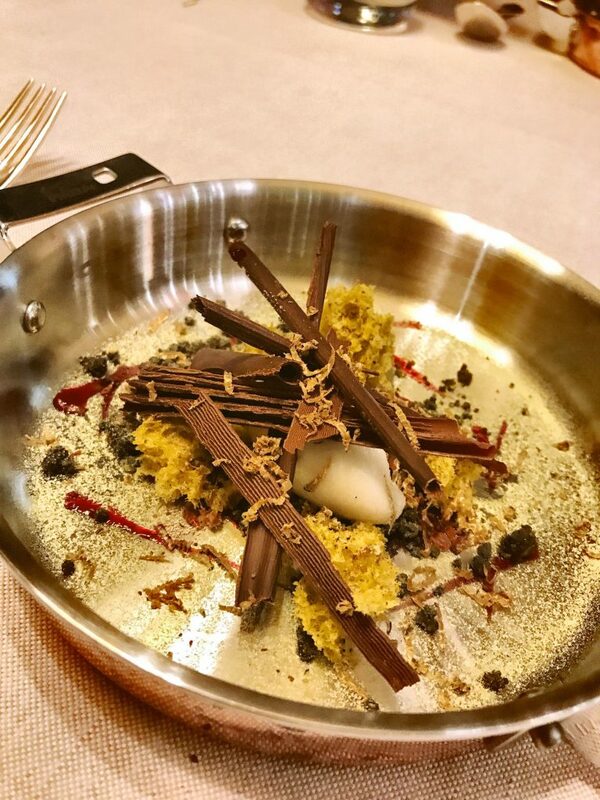 Die Krönung ist natürlich immer wieder das Tiramisu am Ende! 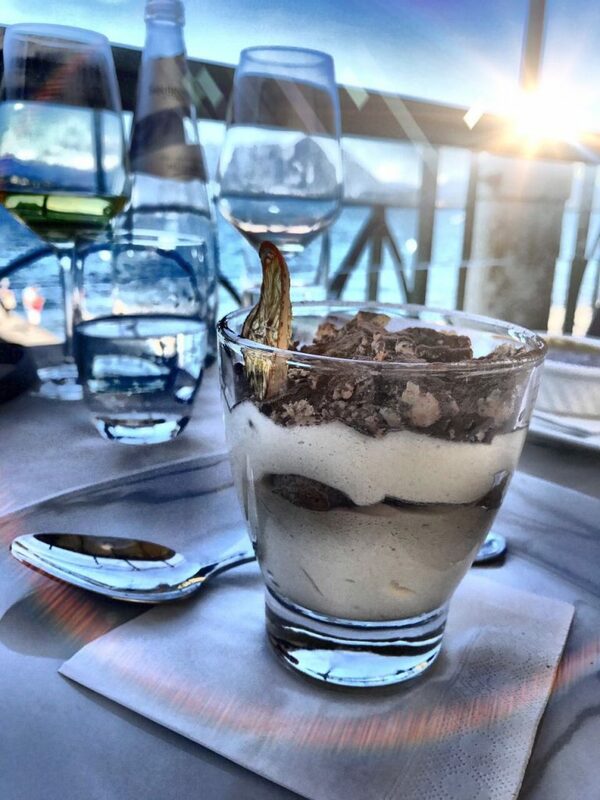 It was more than pleasant because who would not want to enjoy the wine right by the water and also a delicious menu that is absolutely not overpriced? 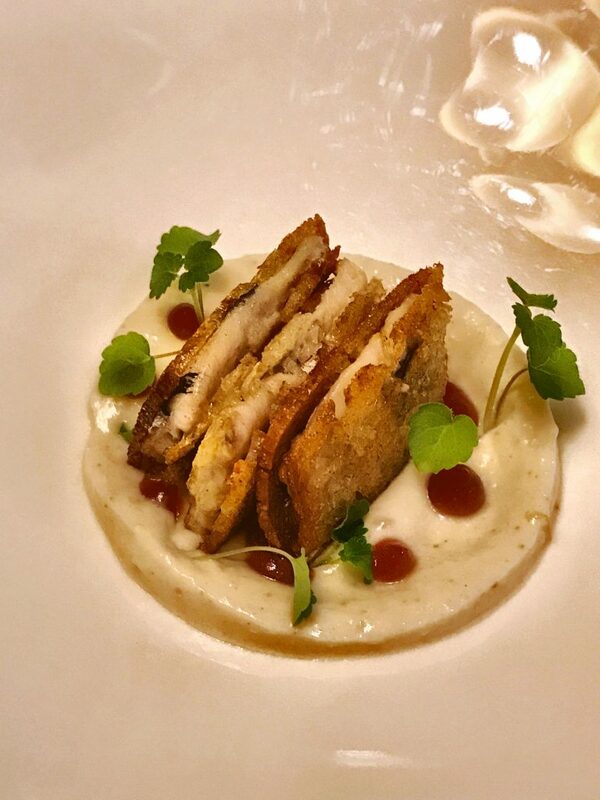 The crowning is, of course, always the tiramisu in the end! Wer das letzte Boot zurück nach Stresa verpasst, kann auch in den frisch renovierten Zimmern im Hotel Belverde übernachten. 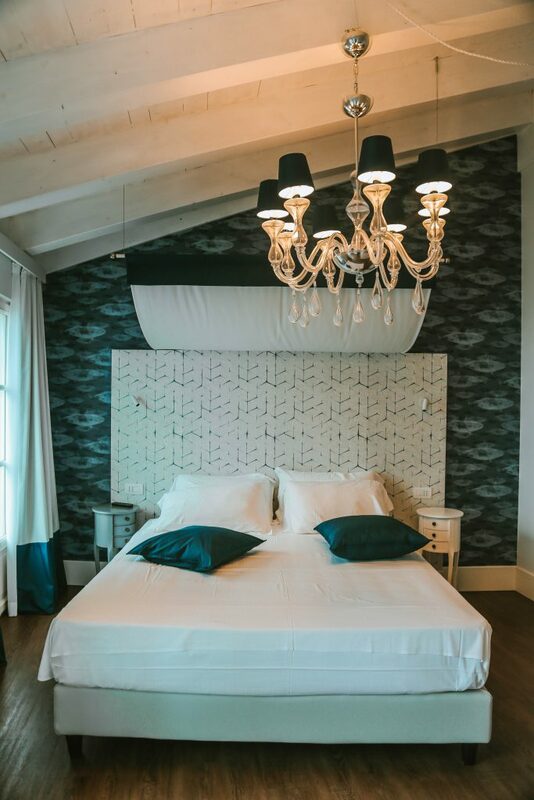 If you miss the last boat back to Stresa, you can stay in the newly renovated rooms at Hotel Belverde. Nehmt die Seilbahn hoch zum Mottarone und genießt die Aussicht über den Laggo Maggiore! Oben könnt ihr natürlich erstmal die Luft und ein Bier genießen. Runter kommt ihr mit der Seilbahn, zu Fuß oder mit dem Fahrrad. Ihr könnt es euch aussuchen! 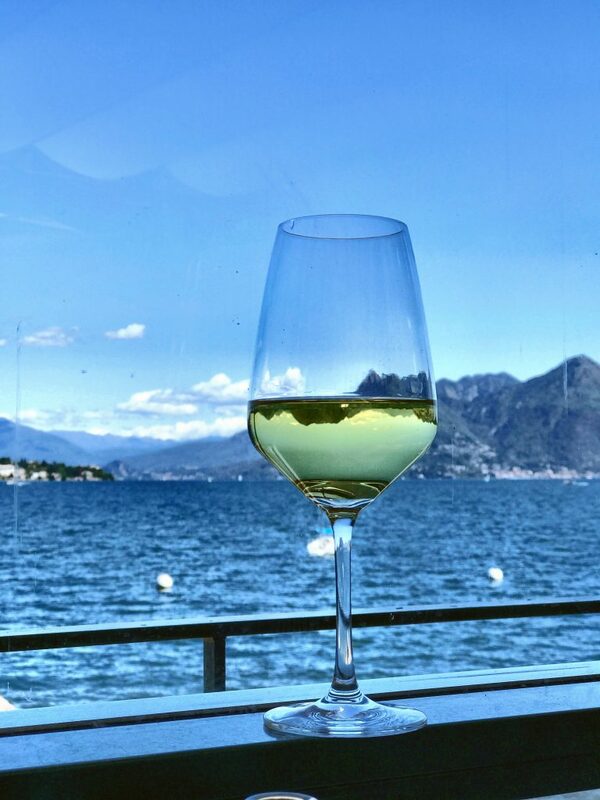 Nach dem schönen Tag noch ein Gläschen Vino über dem Lago Maggiore. Die moderne Sky Bar müsst ihr besuchen! Wer in Stresa war und kein Bild von hier oben hat, der hat etwas verpasst! Die Sky Bar hat sogar einen Pool! Take the cable car up to the Mottarone and enjoy the view over the Laggo Maggiore! Above, you can enjoy the air and a beer. Down comes her with the cable car, on foot or by bike. You can choose it! 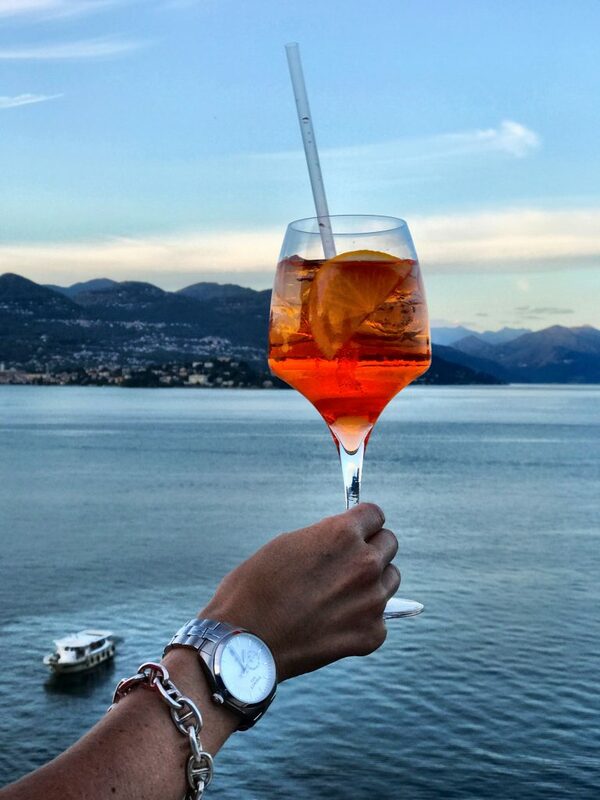 After the beautiful day, a glass of wine over Lake Maggiore, the modern Sky Bar you have to visit! Who was in Stresa and did not have a picture from up here, he/she missed something! The Sky Bar even has a pool! Die 5 Inseln auf dem Lago Maggiore einer stinkreichen Familie gehören? Dem Borromeo Clan gehören nicht nur die Inseln, sondern einige sind auch nach ihnen benannt! Isola Bella (Isabella, die Comtesse Borromeo), Isola Madre (La Mamma), Isola dei Pescatori (ein kleines Fischerdorf), Isolino di Don Giovanni (das Mini-Inselchen) und Scoglio della Malghera (noch mehr Mini). The 5 islands on Lake Maggiore belong to a stinky family? The Borromeo Clan does not only include the islands, but some are also named after them! Isola Bella (Isabella, the Comtesse Borromeo), Isola Madre (La Mamma), Isola dei Pescatori (a small fishing village), Isolino di Don Giovanni (mini islet) and Scoglio della Malghera (even more mini). Ohne Helm Fahrrad fahren. Morgens während des Frühstücks konnte ich beobachten, wie ein Bus ein Fahrrad gerammt hat. Zu teure Tickets kaufen! Lieber Preise vergleichen! Ich habe das gleiche Bootsticket, was mir erst für 15€ angeboten wurde für 8€ beim 2. Anbieter bekommen. Ohne Sonnencreme rausgehen! Die Sonne knallt auch wenn es bewölkt ist! Viele Grüße von meinem Sonnenbrand! Cycle without a helmet. In the morning, during the breakfast, I saw how a bus rammed a bike. Buy too expensive tickets! Compare prices! I compared the same boat tickets, which I was offered for 15 € and for 8 € at the 2nd provider get. Go out without suncream! The sun pops even when it is cloudy! Many greetings from my sundress! Der Lago Maggiore ist aus jedem Blickwinkel eine Augenweide, aber dieser lässt sich besonders schön bei ca. 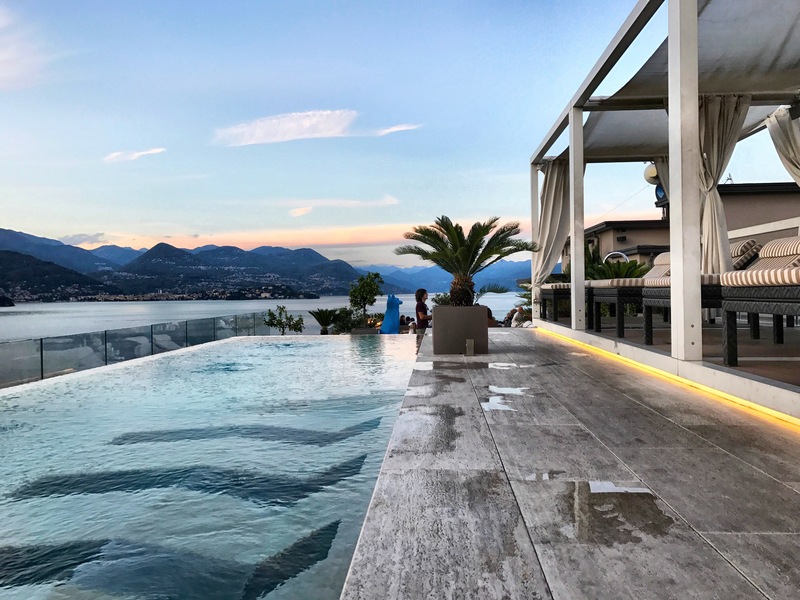 30 Grad mit einem Cocktail in der Hand und im Rooftop Pool des Hotels La Palma in Stresa genießen. 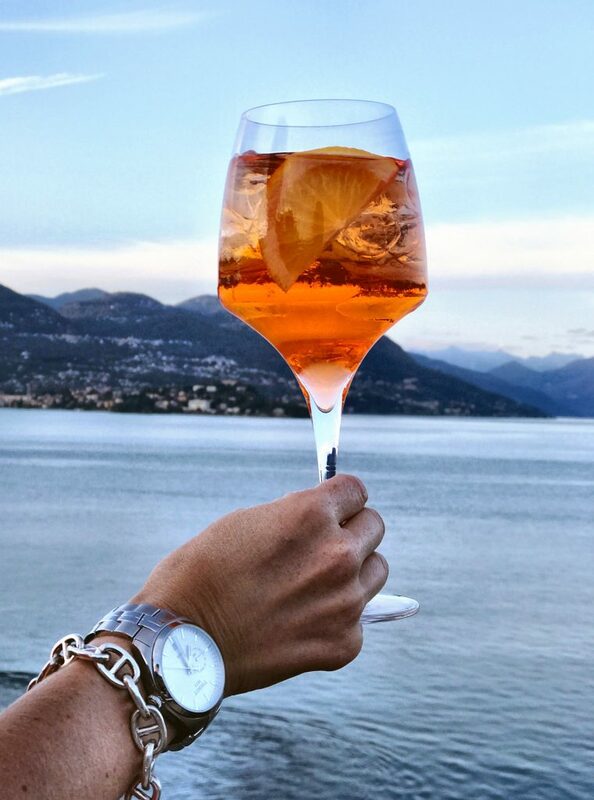 The Lago Maggiore is an eyewitness from every angle, but this can be enjoyed particularly at approx. 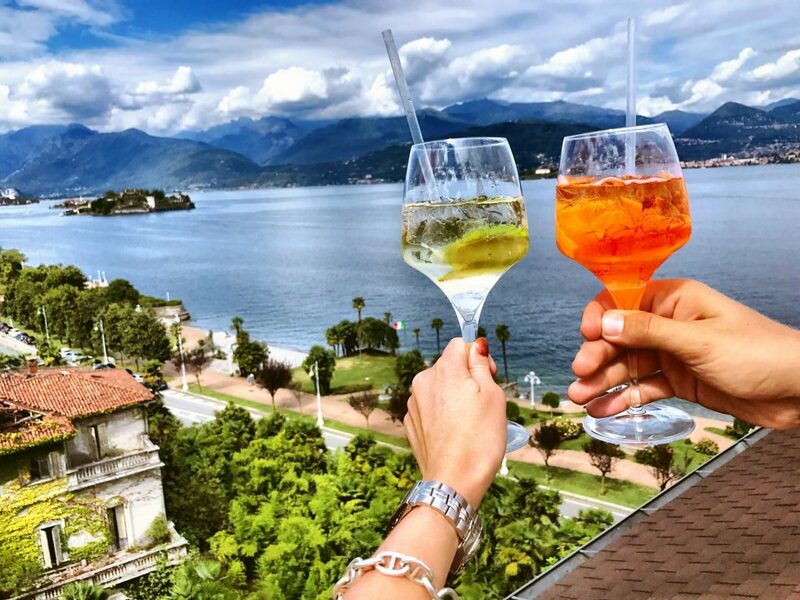 30 degrees with a cocktail in the hand at the rooftop pool of the Hotel La Palma in Stresa. 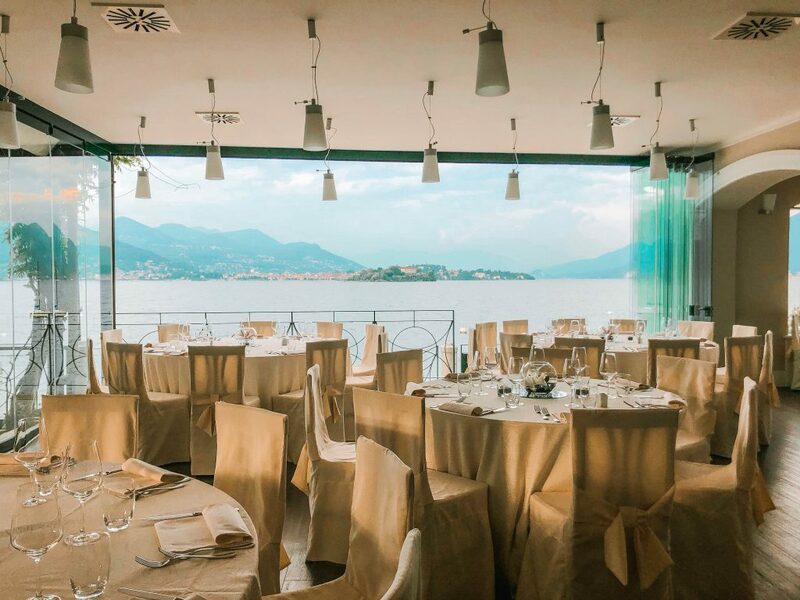 The hotel is located directly on the lakeside promenade and with a short walk to the center of Stresa. For those arriving by train, the train station is only a 5-minute walk away. Nach unserer Ankunft hat uns die Rezeption freundlich empfangen. Die Zimmer sind groß, sehr sauber und modern ausgestattet. Die im Zimmer verfügbare Klimaanlage kann selbst reguliert werden, sodass euch nie zu heiß oder zu kalt wird – ihr stellt sie ganz einfach nach Belieben ein. 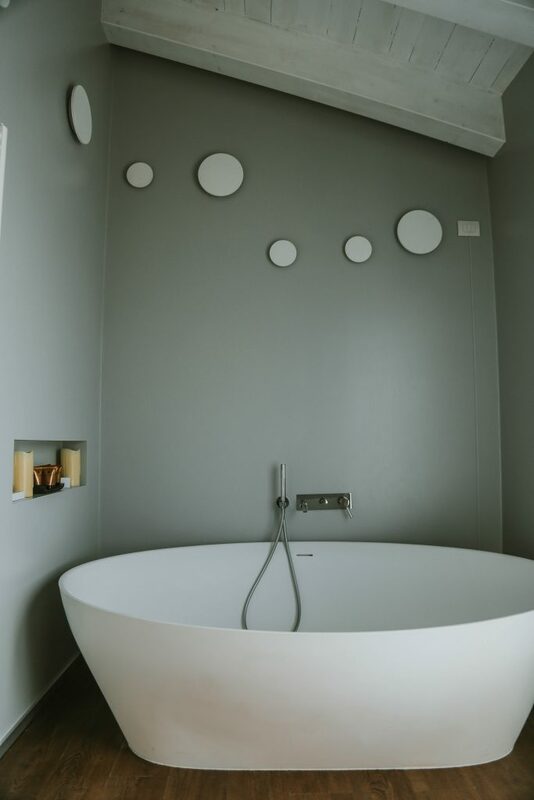 Das Badezimmer ist geräumig und ebenfalls top modern eingerichtet. On our arrival, we found that the reception was friendly. The rooms are large, very clean and modern equipped. 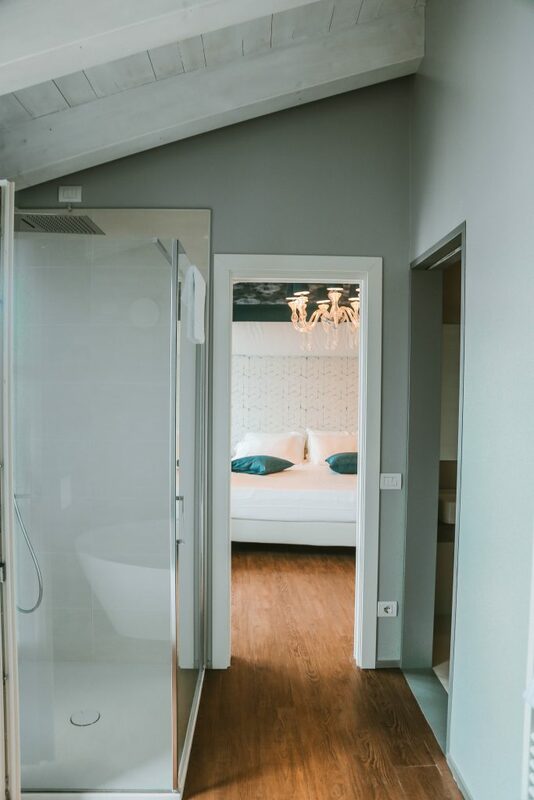 The air-conditioning available in the room can be adjusted by itself so that you never get too hot or too cold – you simply adjust it to your liking. The bathroom is spacious and also furnished to the highest standards. Dank der schicken Etro Badeausstattung brauchte ich auch nur meine halbe Garderobe. Ich hatte noch nie so einen coolen Bademantel in einem Hotel, den ich dann natürlich auch überall tragen musste. Keine Sorge! Zum Frühstück und zum Abendessen habe ich ihn ausgezogen! Thanks to the chic Etro bathing equipment, I only needed half of my wardrobe. I had never had such a cool bathrobe in a hotel, which I had to carry everywhere. Don’t worry! For breakfast and dinner, I pulled him out! 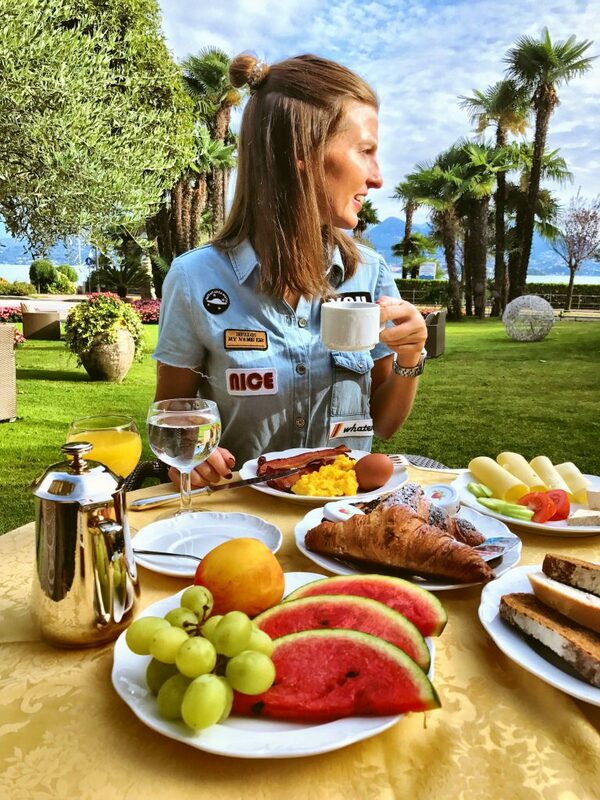 Und wenn wir schon beim Frühstück sind: Das Hotel bietet ein umfangreiches italienisches Frühstücksbuffet an. Bei gutem Wetter unbedingt draußen im Garten sitzen und von dort aus das Frühstück genießen! 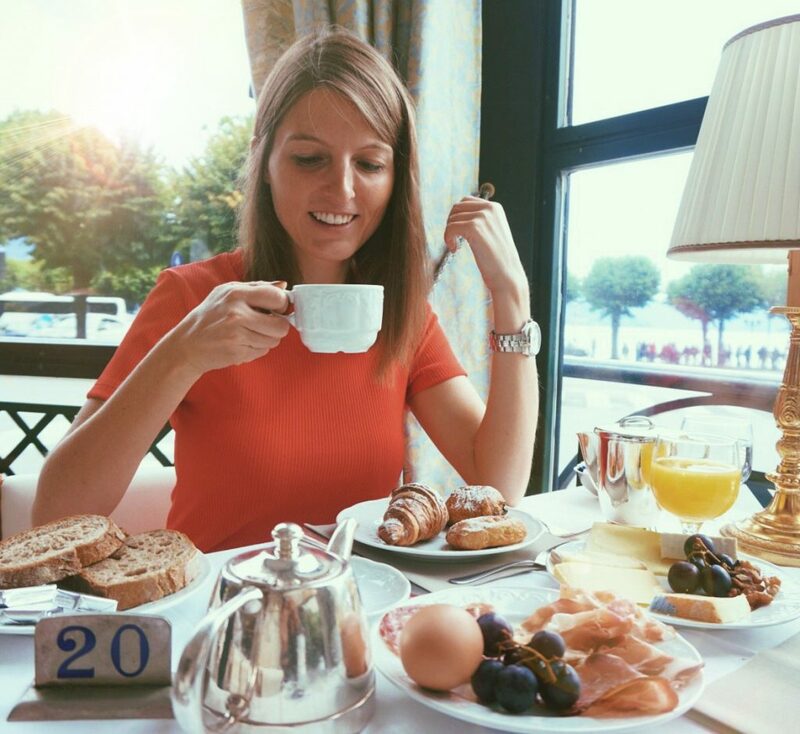 Talking about breakfast… The hotel offers an extensive Italian breakfast buffet. When the weather is good, be sure to sit outside in the garden and enjoy the breakfast from there! Das Hotel verfügt über einen Wellness-Bereich mit Sauna und Fitnessraum. Besucht die Sauna oder verausgabt euch im Fitnessbereich. Mit dem gigantischen Blick auf den Lago Maggiore fällt euch das noch leichter als sonst! The hotel has a wellness area with sauna and fitness room. Visit the sauna or spend time in the gym. 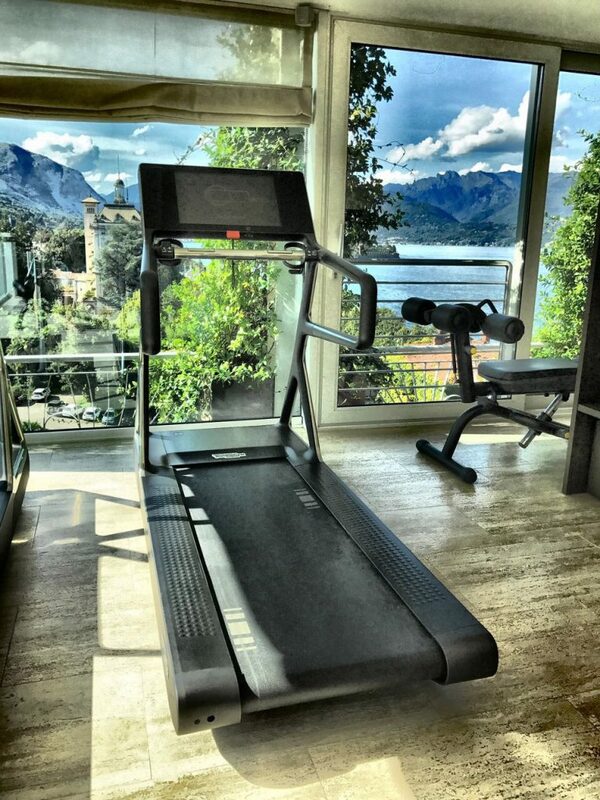 With the gigantic view of Lake Maggiore, it is even easier than usual! Direkt am See befindet sich ein Pool mit Liegemöglichkeiten, der nach Lust und Laune genutzt werden kann. Das besondere Highlight befindet sich jedoch auf der 7. 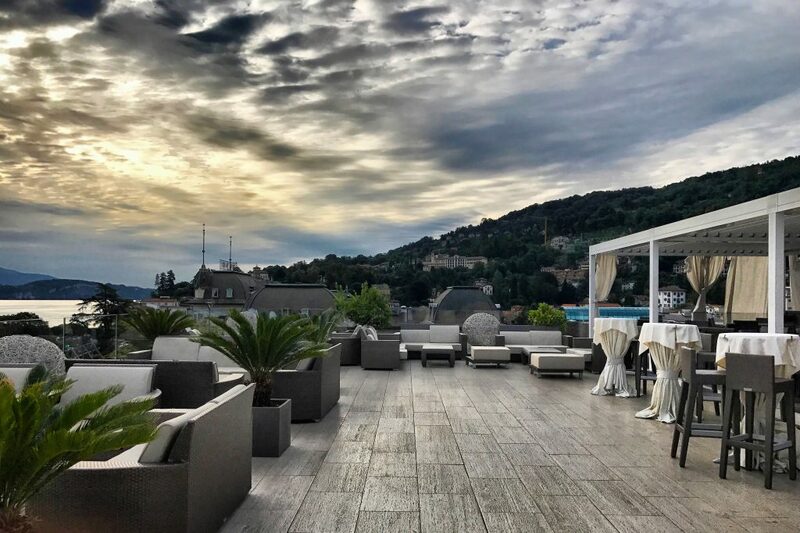 Etage des Hotels: eine SkyBar mit Dachpool! Auf dem Dach gibt es eine Art „Garten“ mit bequemen Liegestühlen. Hier kann man die Seele baumeln lassen und Sonne tanken. Der Dachpool ist beheizt und daher angenehm warm. 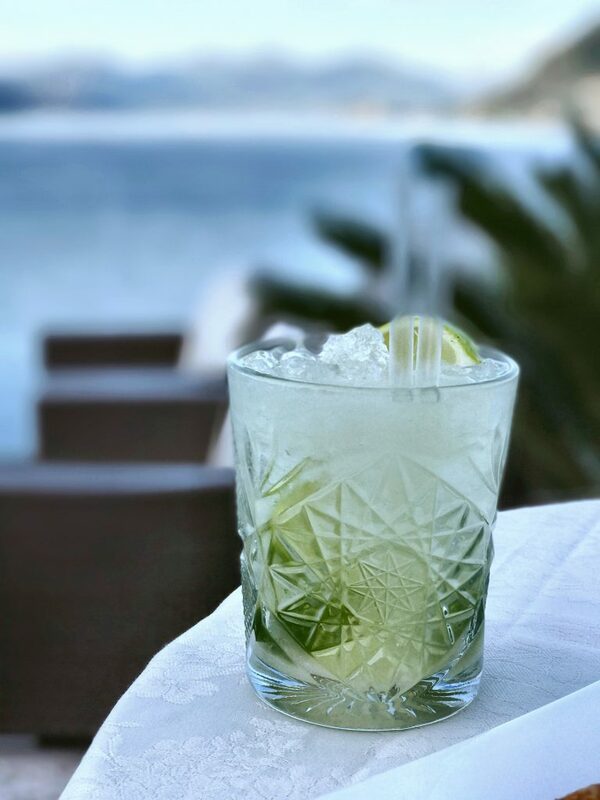 An der Bar gibt es leckere Cocktails und auch Kaffeespezialitäten. Hier lässt es sich gut bis spät in die Nacht entspannen, sodass ihr einen ereignisreichen Tag in Stresa planen könnt. Für alle, die nicht wissen, was sie in Stresa machen können, sollten diesen Artikel lesen! Directly on the lake, there is a swimming pool with sun loungers, which can be used to your liking. The special highlight is, however, on the 7th floor of the hotel: a SkyBar with roof pool! On the roof, there is a kind of “garden” with comfortable sun loungers. Here you can relax and recharge your batteries. The roof pool is heated and therefore pleasantly warm. At the bar, there are delicious cocktails and also coffee specialties. 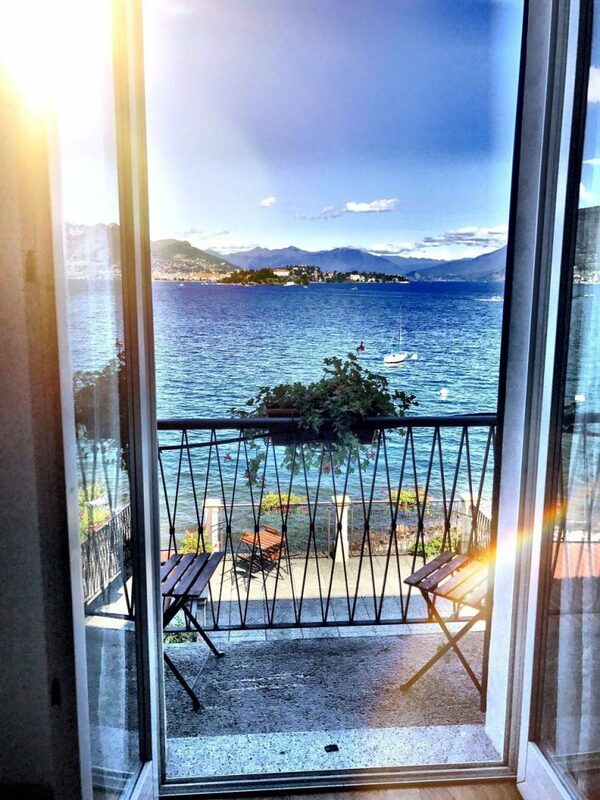 Here you can relax until late in the night, so you can plan an eventful day in Stresa. 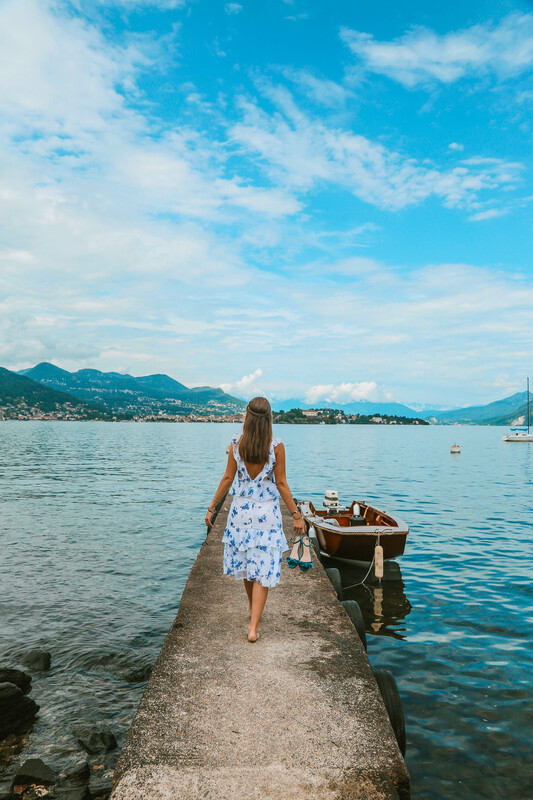 For those who do not know what to do in Stresa, read this article! The restaurant with the most beautiful kitchen! 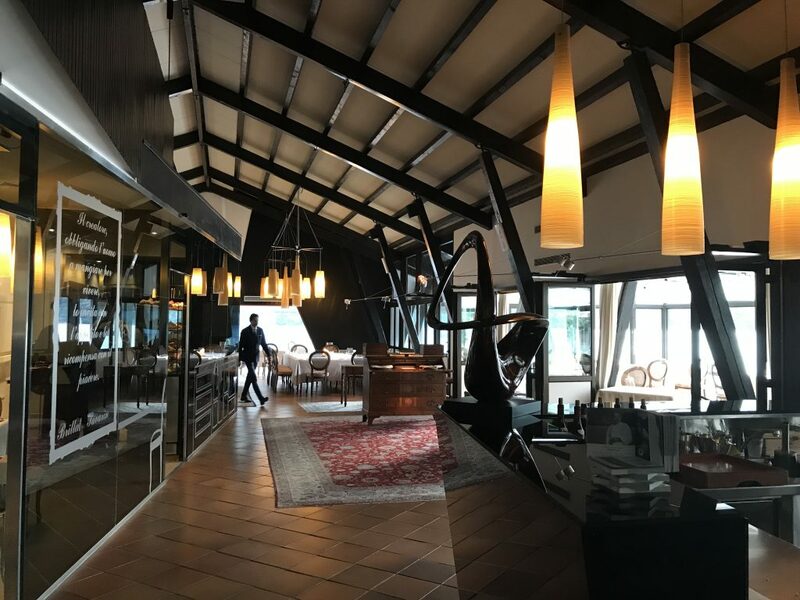 Abseits aller Touristenströme am Lago Maggiore liegt ein feines Restaurant für all jene, die das Besondere suchen. 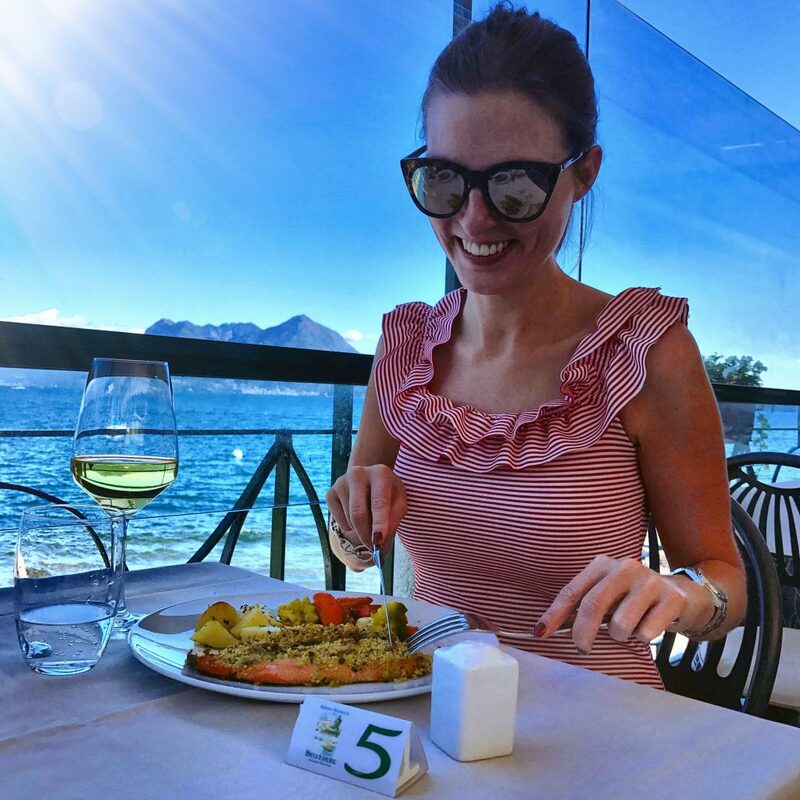 Direkt am Lago di Mergozzo gelegen, verfügt das Restaurant Piccolo Lago über einen atemberaubenden Ausblick, der in Kombination mit der dort herrschenden Ruhe vielen als Inspirationsquelle und Ruhepol dient. 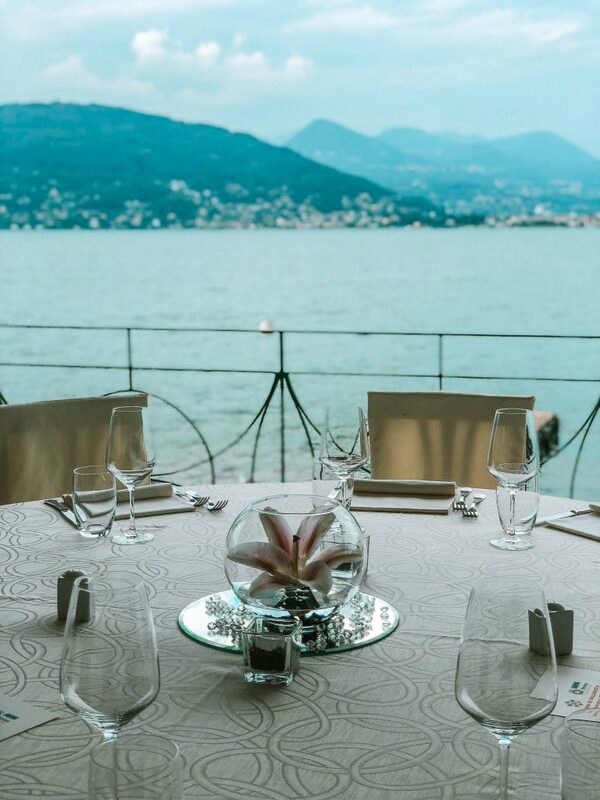 Away from all tourist streams at Lake Maggiore is a fine restaurant for those who are looking for something special. 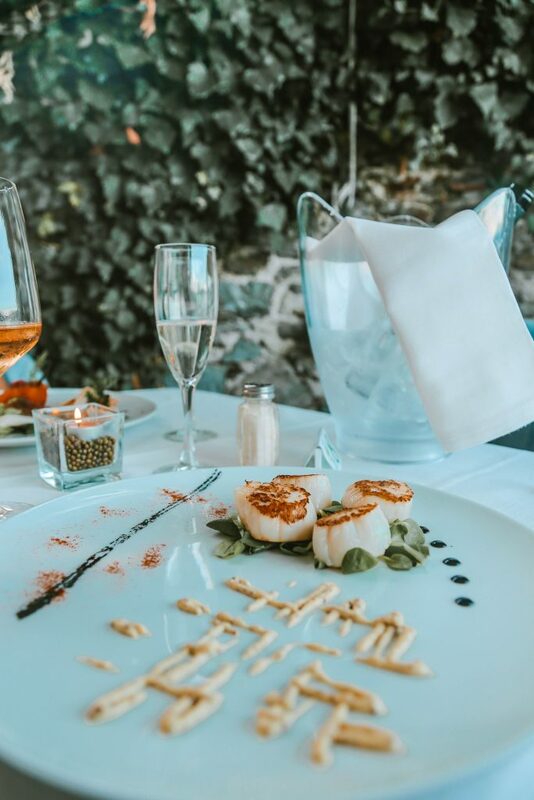 Located directly at the Lago di Mergozzo, the Piccolo Lago restaurant has a breathtaking view, which, in combination with the tranquility, serves as a source of inspiration and a resting pole. Nach einer 15-minütigen Fahrt aus Stresa, am Lago Maggiore gelegen, kamen wir in Verbania an. Direkt vor dem Restaurant befinden sich Parkplätze, sodass man nicht lange suchen und laufen muss. Nachdem wir ausgestiegen sind, haben wir als allererstes den wundervollen Garten direkt am See Mergozzo bewundert. Wer mag, kann hier sogar ein Boot inklusive Picknick mieten. 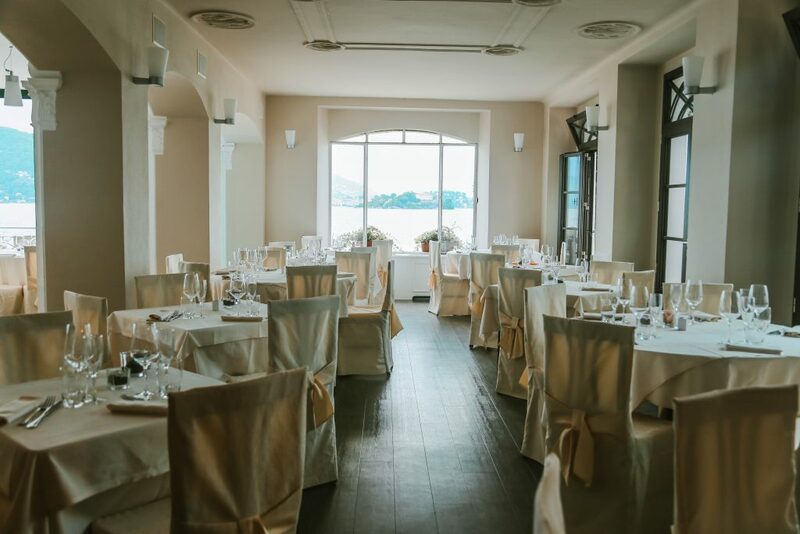 Die Location ist wahrlich traumhaft und eignet sich für alle Arten von Events: von Hochzeiten über Geburtstagsfeiern bis hin zu Business Events. Und das alles direkt am Wasser. After a 15-minute drive from Stresa, at Lake Maggiore, we arrived in Verbania. Right in front of the restaurant are parking lots, so you do not have to search and run for a long time. We first admire the wonderful garden directly on the lake Mergozzo. If you like, you can rent a boat, including a picnic. 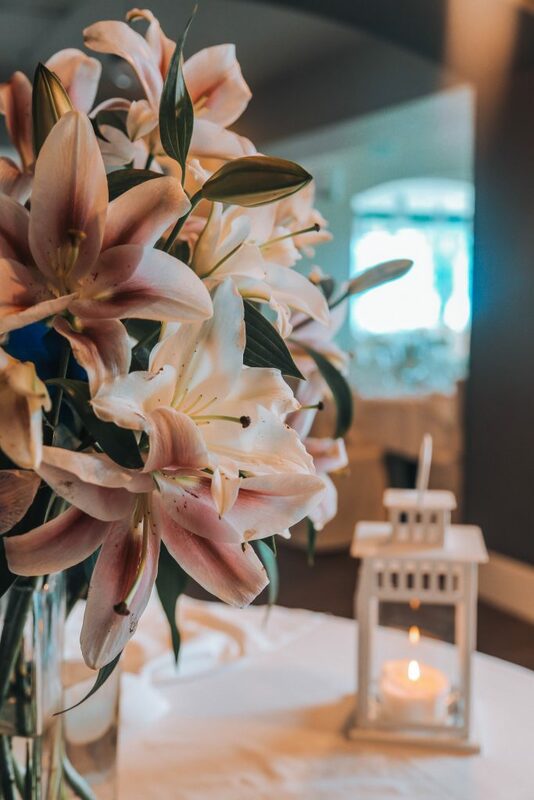 The location is truly fantastic and it is suitable for all types of events: from weddings, to birthday parties, to business events, and all this right by the water. Am Eingang sind wir direkt herzlich empfangen worden. Obwohl es so hochpreisig ist, ist die Atmosphäre sehr leger, was mir besonders gut gefallen hat. Im Allgemeinen ist es total entspannt und locker. 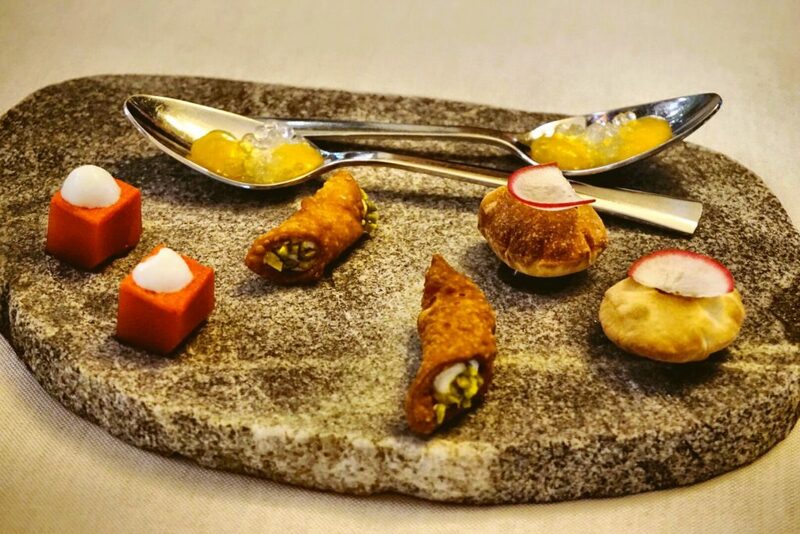 Das Restaurant bietet einen tollen Stilmix aus rustikal und modern mit den vielen Glasflächen. At the entrance, we were warmly welcomed. Although it is so high-priced, the atmosphere is very casual, which I particularly liked. In general, it is totally relaxing and loose. The restaurant offers a great mix of rustic and modern interior design with the many glass surfaces. Wir hatten großes Glück mit unserem Tisch. Wir konnten nämlich direkt an der Küche sitzen und das bunte Treiben verfolgen. Normalerweise sitzt hier nur der Chef, Marco Sacco. Nach kurzer Zeit durften wir sogar in die Küche schauen. Wir wurden dort sehr freundlich begrüßt. Insgesamt arbeiten 16 Köche und Gehilfen in der Küche. Selbst aus der Küche hat man einen super Ausblick auf den See, was das Arbeiten noch angenehmer macht, aber auch ansonsten war die Stimmung im Team sehr gut. Und das schmeckt man auch! Hier wird sogar jede Bestellung vom Team zelebriert. We were very lucky with our table. We could sit directly at the kitchen and pursue the colorful activity. 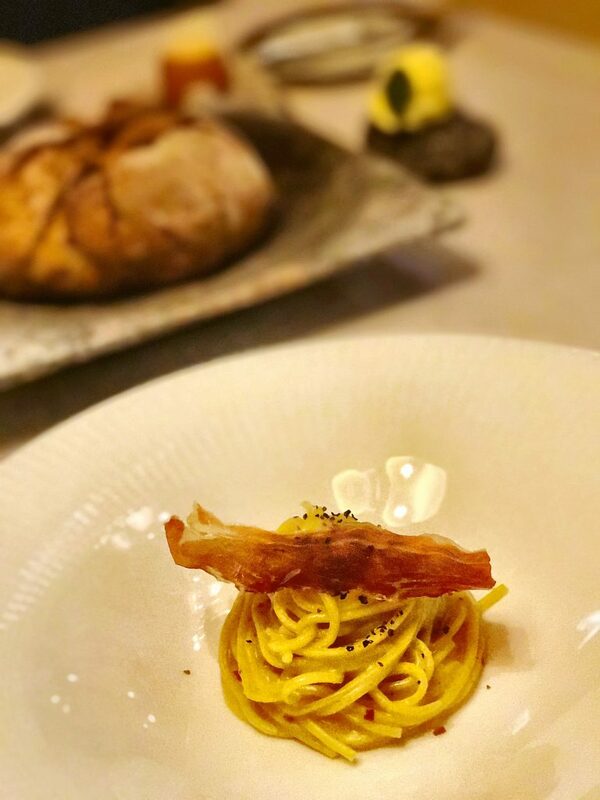 Usually, only the chef, Marco Sacco, is sitting here. After a short period of time, we were even allowed to look into the kitchen. We were greeted in a friendly manner. 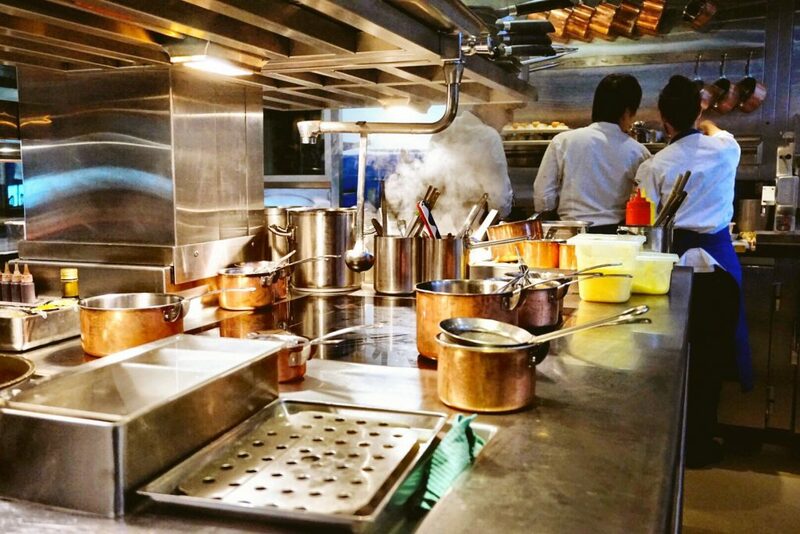 A total of 16 cooks and assistants work in the kitchen. 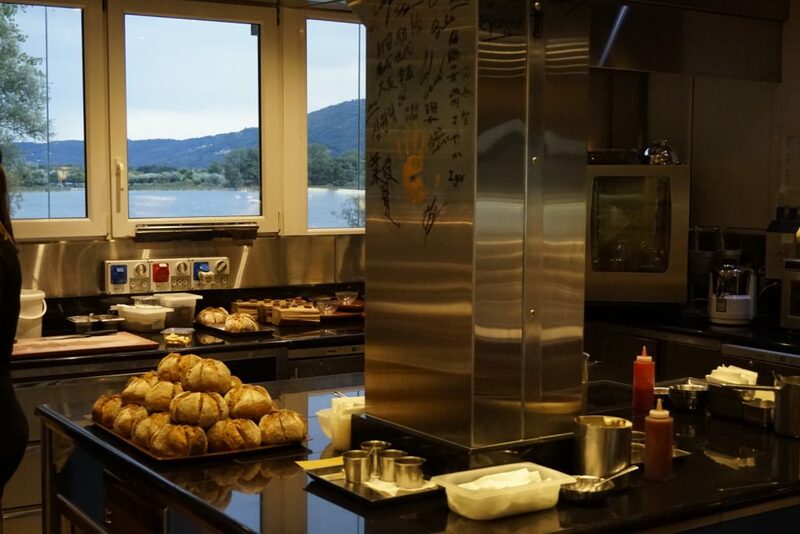 Even from the kitchen, you have a great view of the lake, which makes the work even more pleasant, but also the atmosphere in the team was very good. And you can taste it, too! Every order is celebrated here by the team. Marco, der Chef, hat sich für uns Zeit genommen und uns seine Küche gezeigt. Sie wurde sogar mit zwei Michelin-Sternen ausgezeichnet. Zu Recht! 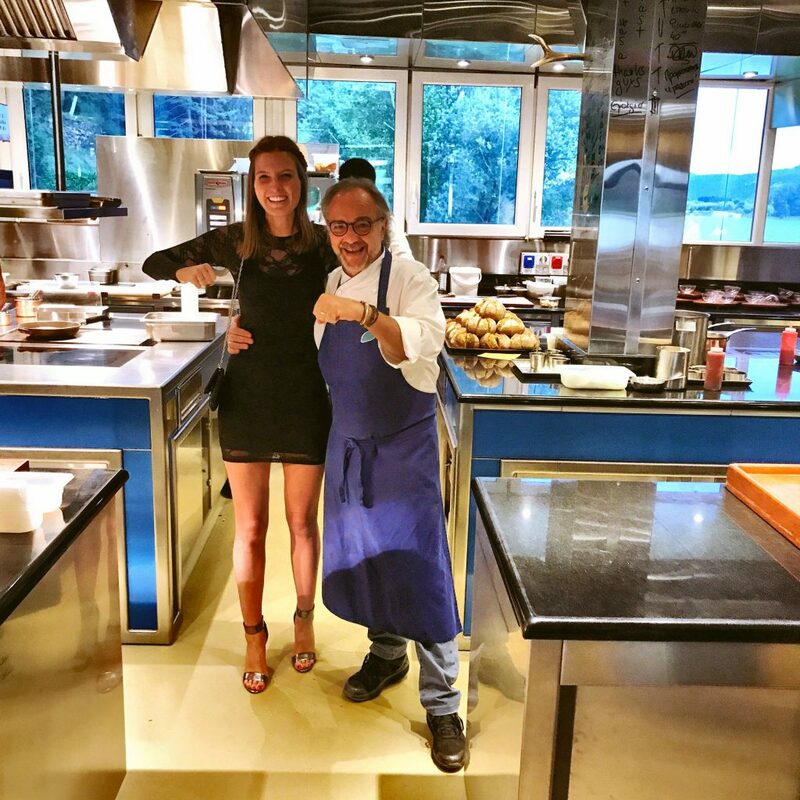 Marco, the chef, took time for us and showed us his kitchen. 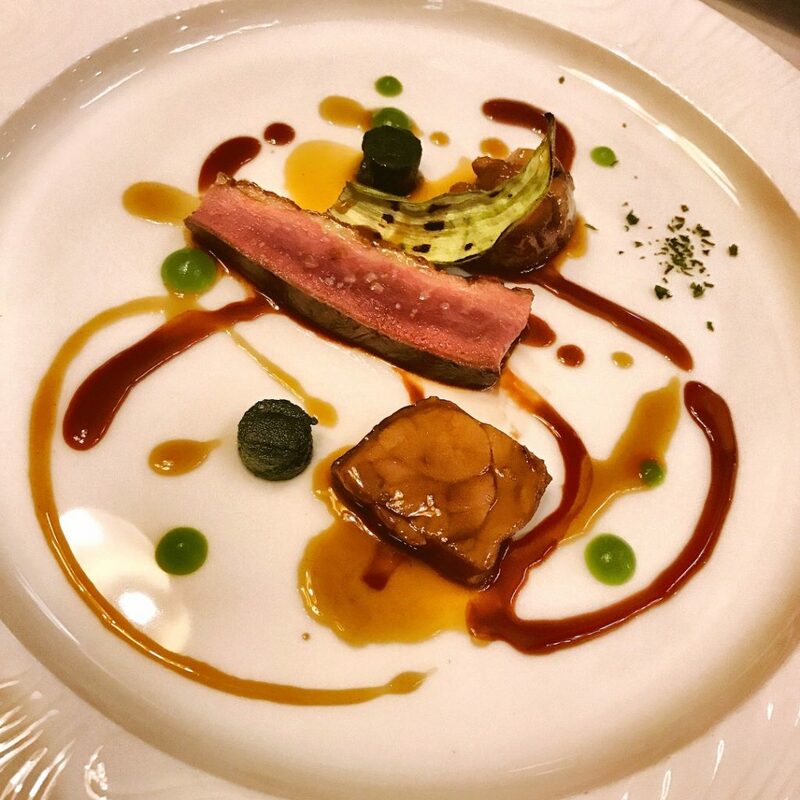 It was even awarded two Michelin stars. Well deserved! m Staunen kaum rausgekommen. Jeder einzelne Teller war wunderschön dekoriert. Das Auge isst ja bekanntlich mit! Back at our table, we started with the 11-course menu. We could hardly get over our astonishment. Each single plate was beautifully decorated. It is also a treat for the eyes! Den Geschmack kann ich kaum in Worte fassen. Jeder einzelne Gang war himmlisch! Passend dazu gab es Wein aus der Region. Danach war ich natürlich satt, aber angenehm satt! I can hardly put the taste into words. Every single course was heavenly! In addition, there was wine from the region. Afterwards, I was fed up, of course, but pleasant enough! Das Personal hat sich sehr viel Mühe gegeben, war aber nie aufdringlich. So konnten wir gemütlich am Tisch sitzen und die Atmosphäre genießen. Der Blick auf den idyllisch gelegenen, romantischen kleinen See ist einmalig. 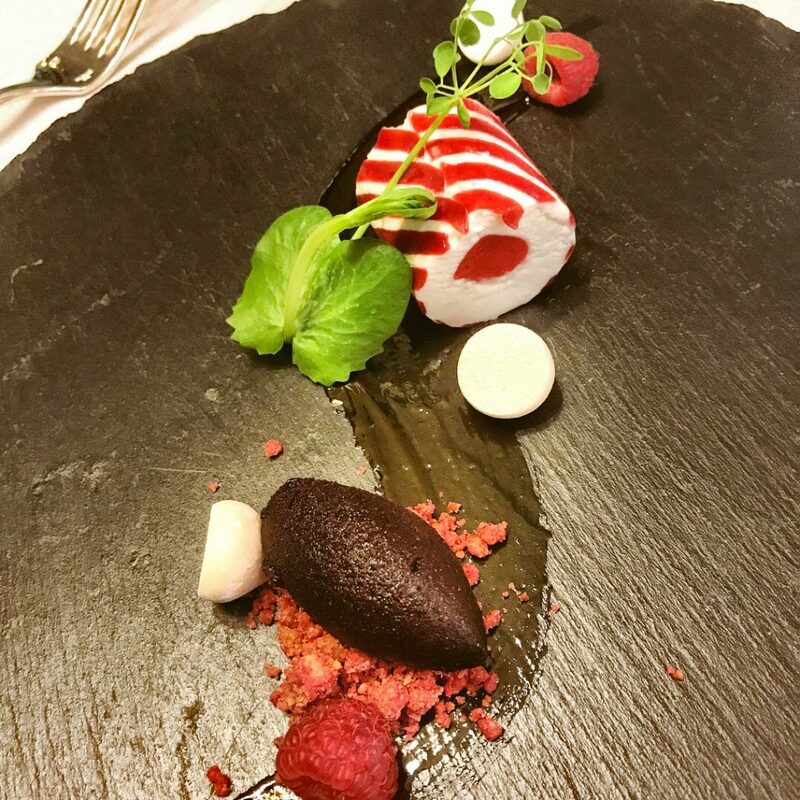 Definitiv ist dies einer meiner besten Restaurant-Besuche gewesen, an den ich mich noch sehr lange erinnern werde. The staff was never intrusive and always very friendly, so that we could sit comfortably at the table and enjoy the atmosphere. The view of the idyllic, romantic small lake is unique. 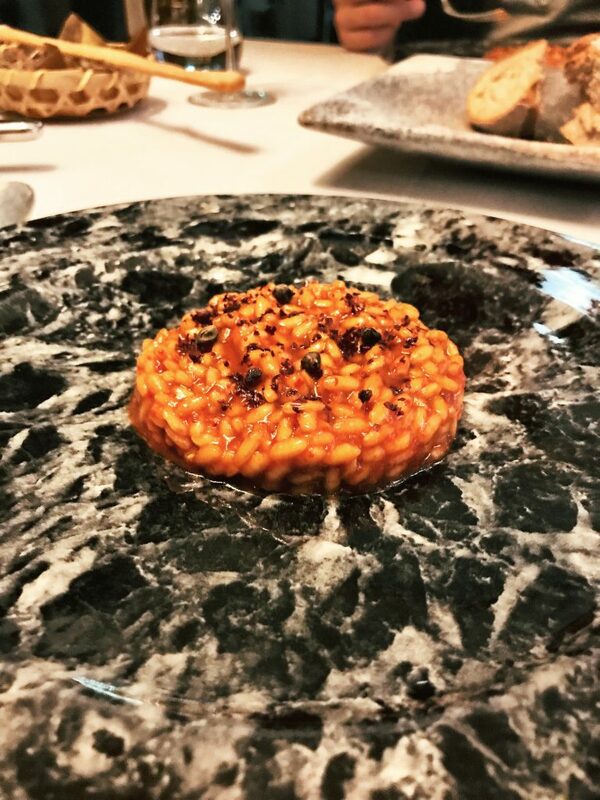 Definitely, this has been one of my best restaurant visits, which I will remember for a very long time. On my last trip to Milan, I wanted to try something new. In the long run, hotels are always too simple and boring. So, I tried to find a solution as I could conveniently get a good place to stay and I came across Wimdu. Wimdu is an online platform where you can book private accommodation. Founded in 2011, it now has 350,000 residential facilities in approximately 150 countries. The selection is huge and therefore everyone really finds something! Bei meiner letzten Reise nach Mailand wollte ich etwas Neues ausprobieren. Immer nur Hotels sind mir auf Dauer zu einfältig und langweilig. Daher habe ich versucht, eine Lösung zu finden, wie ich günstig an eine gute Unterkunft kommen konnte. Und dabei stieß ich auf Wimdu. Bei Wimdu handelt es sich um eine Online-Plattform, auf der man Privatunterkünfte buchen kann. 2011 gegründet, verfügt es über mittlerweile 350.000 Wohnmöglichkeiten in rund 150 Ländern. Die Auswahl ist riesig und somit findet hier wirklich jeder etwas! 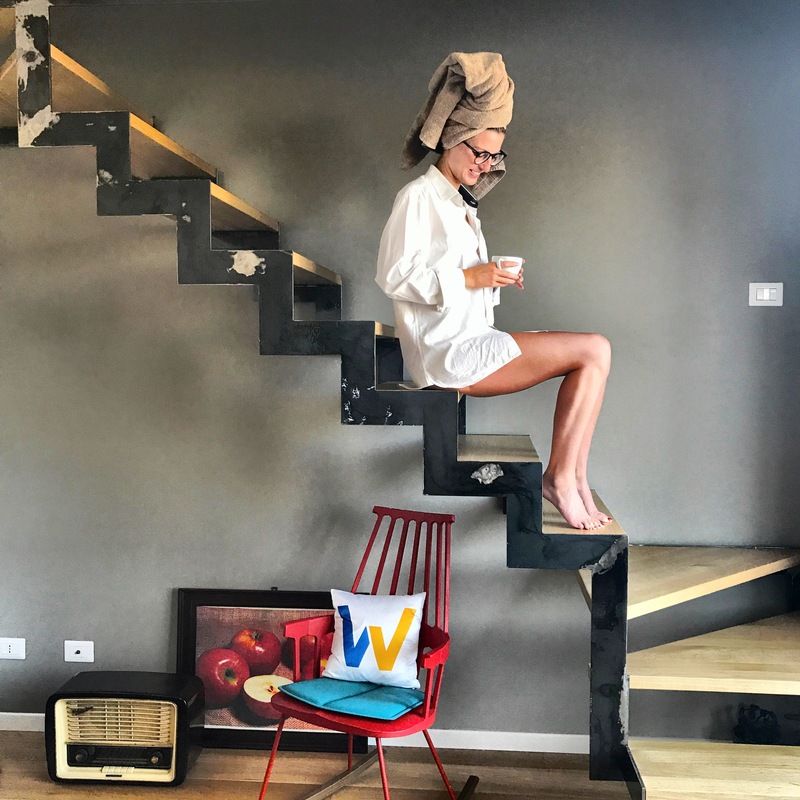 I scoured the accommodations in Milan until I found a beautiful apartment not far from Corso Buenos Aires, one of Europe’s longest shopping malls, and only 500 meters from a subway station. It, therefore, has some points that I can meet for my trips to Milan. With an elevator, you reach the 5th floor, where the apartment is. It is 90 sqm and has a living room with TV and seating, a lovingly decorated bedroom, a well-equipped kitchen, and a dreamlike bathroom. The equipment is upscale and includes everything, from hand towels, a washer / dryer, to Internet / WLAN. So you have to think about (almost) nothing more and can relax during your holiday. 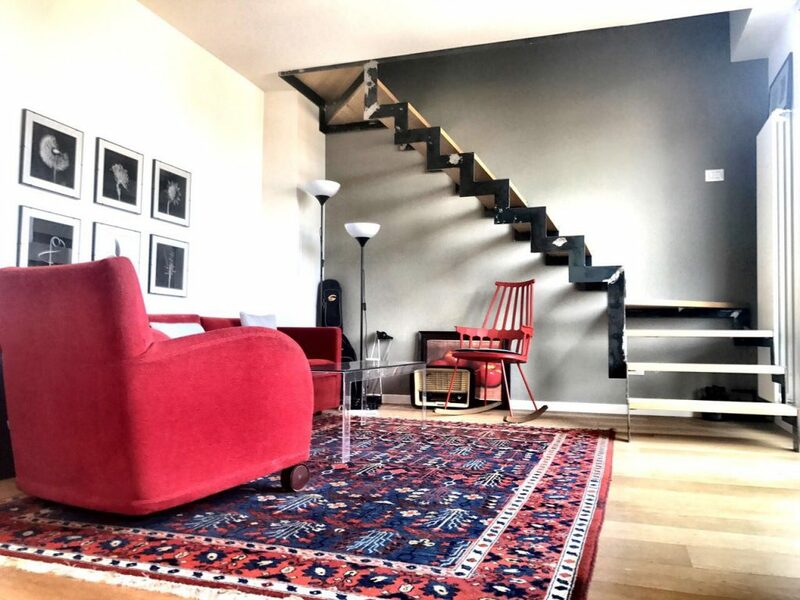 Ich habe die Unterkünfte in Mailand durchforstet, bis ich auf ein wunderschönes Appartement gestoßen bin, welches nicht weit vom Corso Buenos Aires, einer der längsten Shoppingmeilen Europas, und nur 500 m von einer U-Bahn-Station entfernt liegt. Es verfügt somit um einige Punkte, die mir für meine Trips nach Mailand entgegenkommen. Mit einem Aufzug gelangt man in den 5. Stock, in dem sich die Wohnung befindet. Sie ist 90 qm groß und besitzt ein Wohnzimmer mit TV und Sitzmöglichkeiten, ein liebevoll dekoriertes Schlafzimmer, eine gut ausgestattete Küche und ein traumhaft eingerichtetes Badezimmer. Die Ausstattung ist gehoben und beinhaltet alles von Handtüchern, einer Waschmaschine/Trockner, bis hin zu Internet/WLAN. Somit muss man an (fast) nichts mehr denken und kann entspannt seinen Urlaub genießen. Another reason why I chose this apartment is that the 5th floor is perfect for living above the rooftops of Milan. 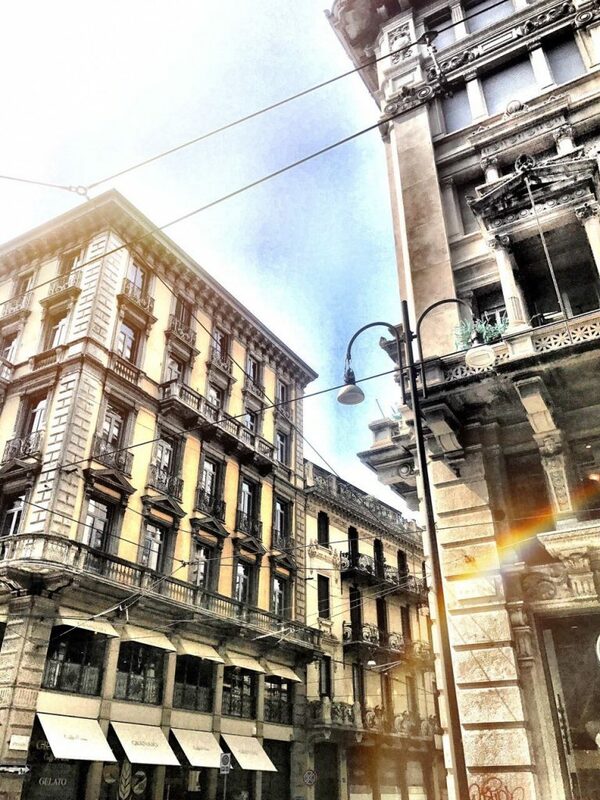 From the balcony, you can enjoy a breathtaking view of Milan and enjoy a glass of wine and the sun. Just around the corner are some restaurants and bars, so you can find everything in front of the door – this is convenient if you do not want to run too far in the evening. The booking via Wimdu worked quite simply and the contact with the landlords was very easy, too. 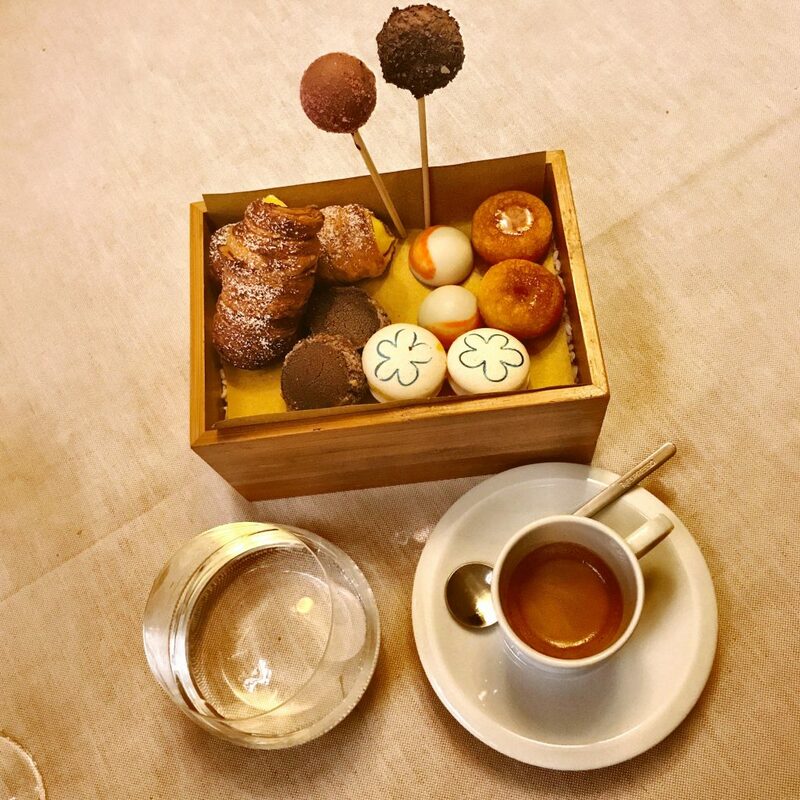 If you have no idea why Milan is the perfect place for a travel adventure, I’d like to show you 7 good reasons to travel to Milan. Ein weiterer Grund, weswegen ich mich für dieses Appartement entschieden habe: Der 5. Stock eignet sich hervorragend für das Wohnen über den Dächern Mailands. Vom Balkon aus erhält man eine atemberaubende Aussicht auf Mailand und kann hier mit einem Glas Wein gemütliche Stunden verbringen und der Sonne beim Untergehen zu sehen. Gleich ums Eck sind einige Restaurants und Bars, sodass man alles vor der Türe vorfindet. Praktisch, wenn man abends nicht mehr allzu weit laufen möchte. 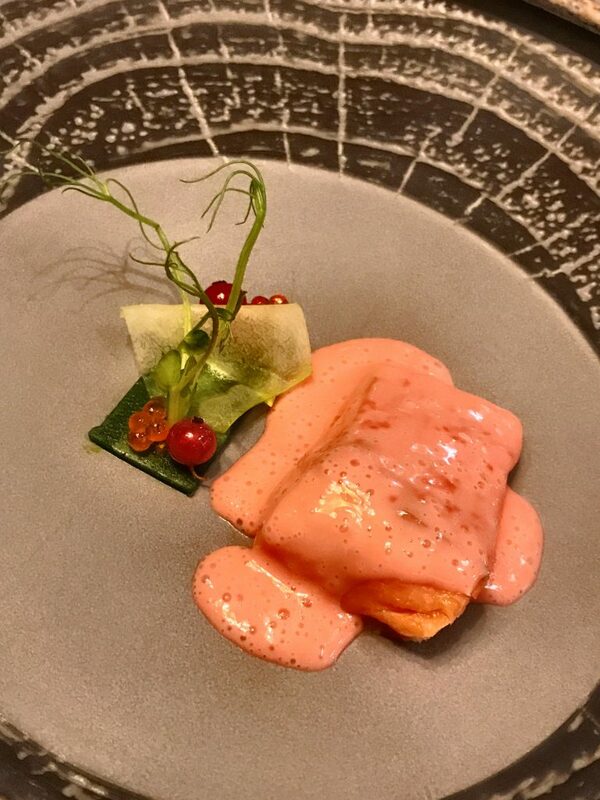 Die Buchung über Wimdu hat ganz einfach funktioniert und der Kontakt mit den Vermietern ging super vonstatten. Wer keine Idee hat, warum Mailand der perfekte Ort für ein Reiseabenteuer ist, dem zeige ich gerne 8 gute Gründe auf, nach Mailand zu reisen.